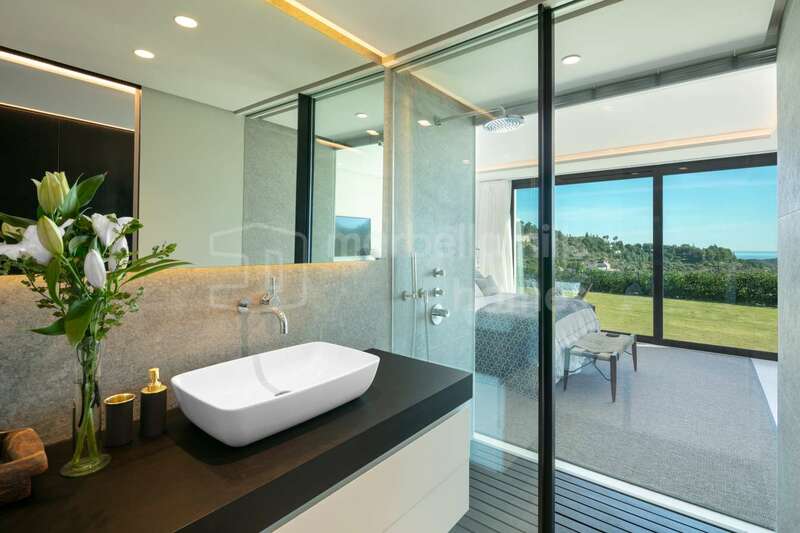 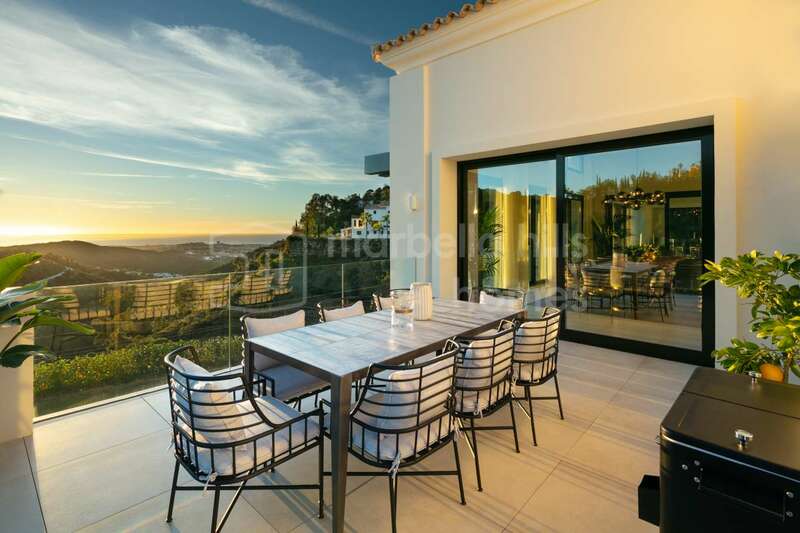 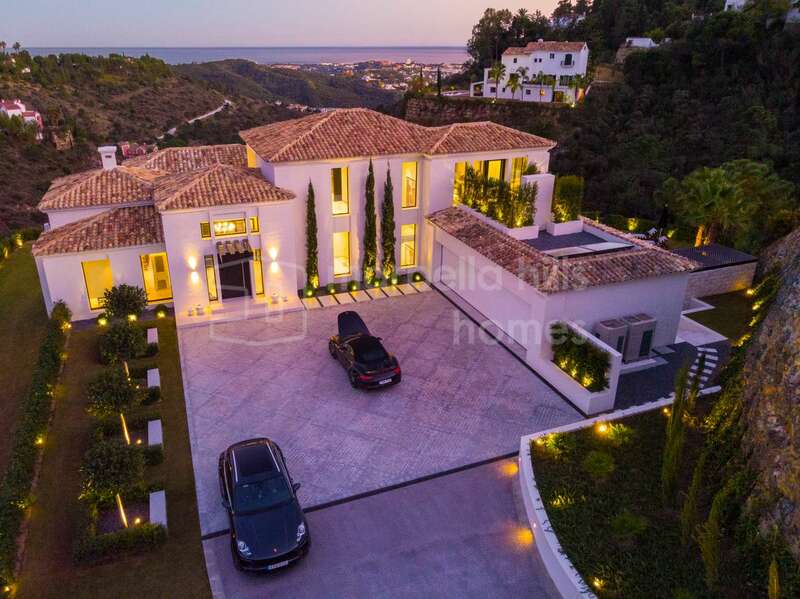 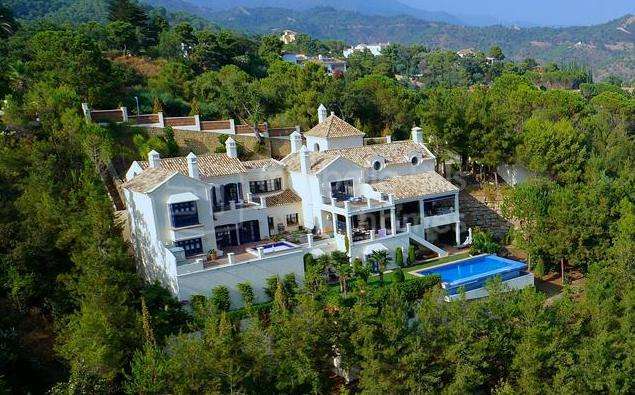 This does not mean that residents have to drive for miles to reach civilisation; the mature development is a mere five-minute drive from the town of San Pedro Alcántara, and about 15 minutes from Marbella town centre. 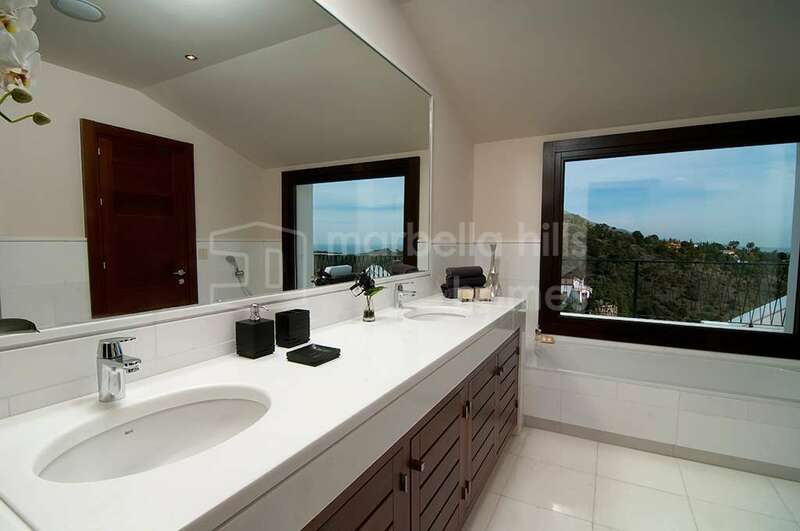 In fact, it offers the perfectly balanced town and country lifestyle. 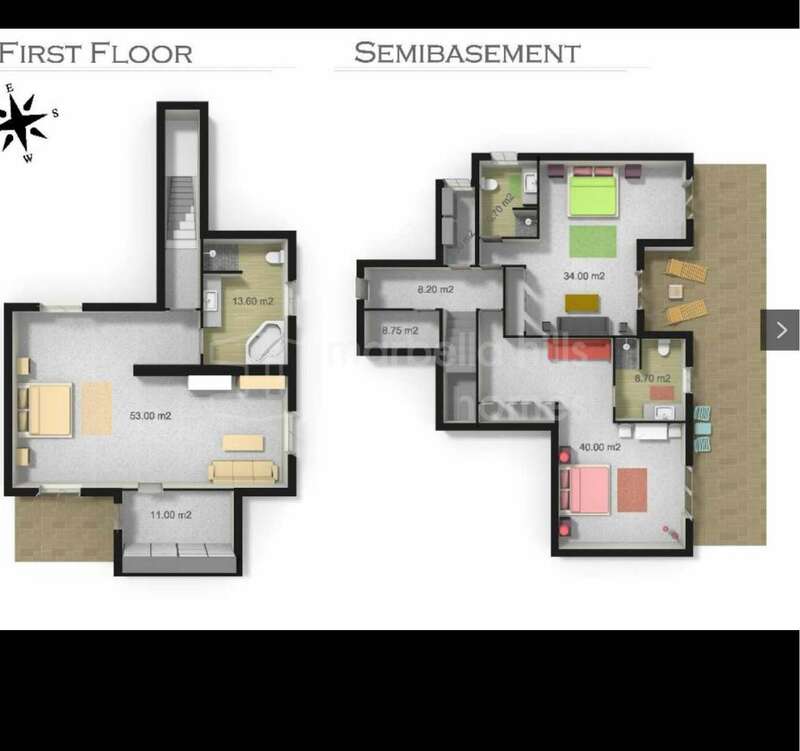 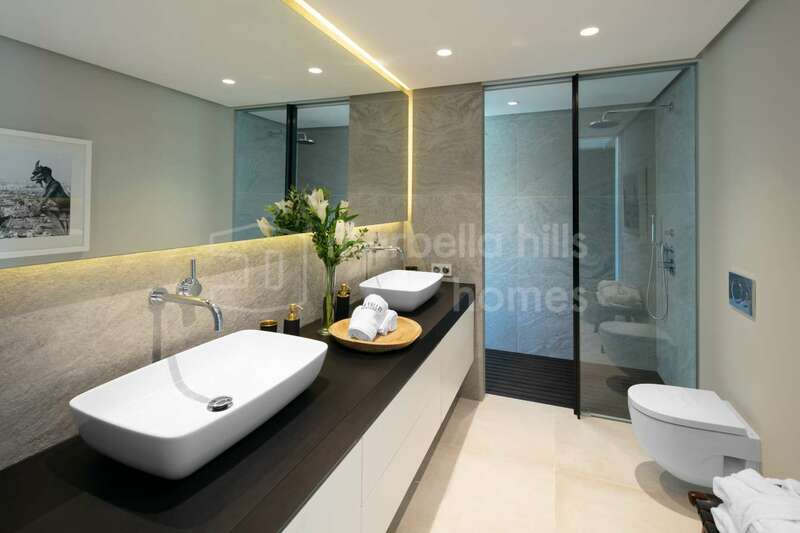 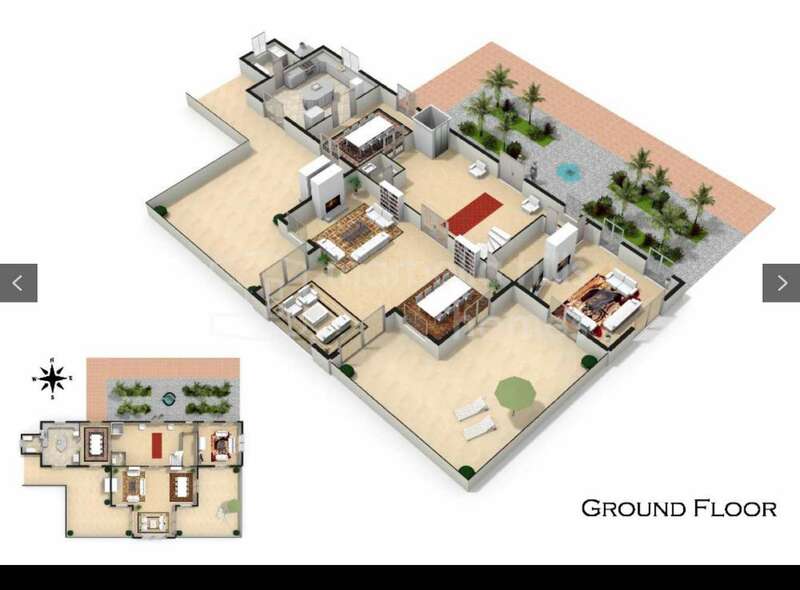 The properties here are known for their magnificence and at the same time for their realistic pricing. 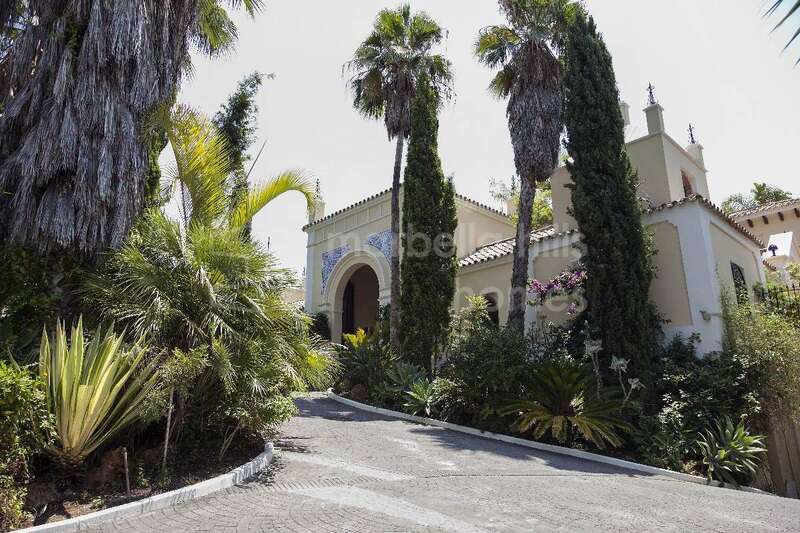 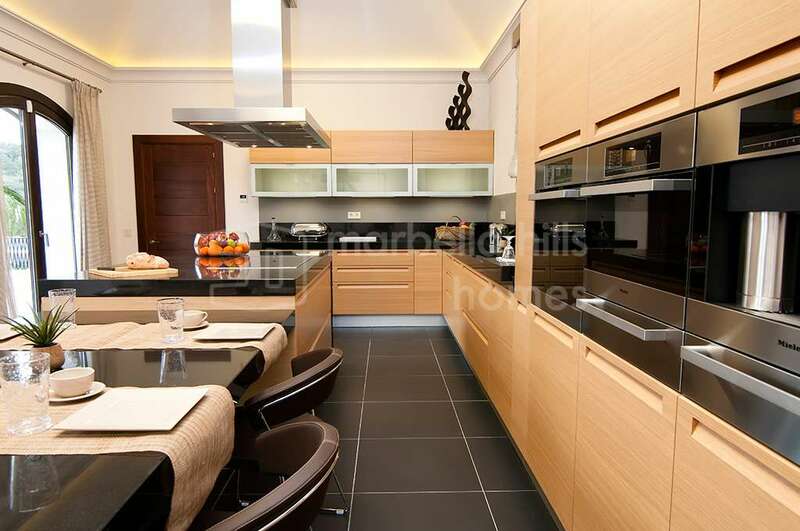 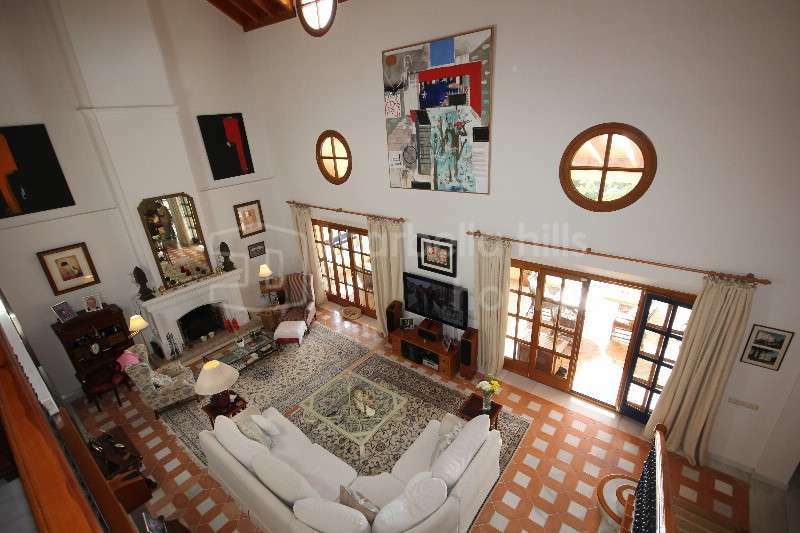 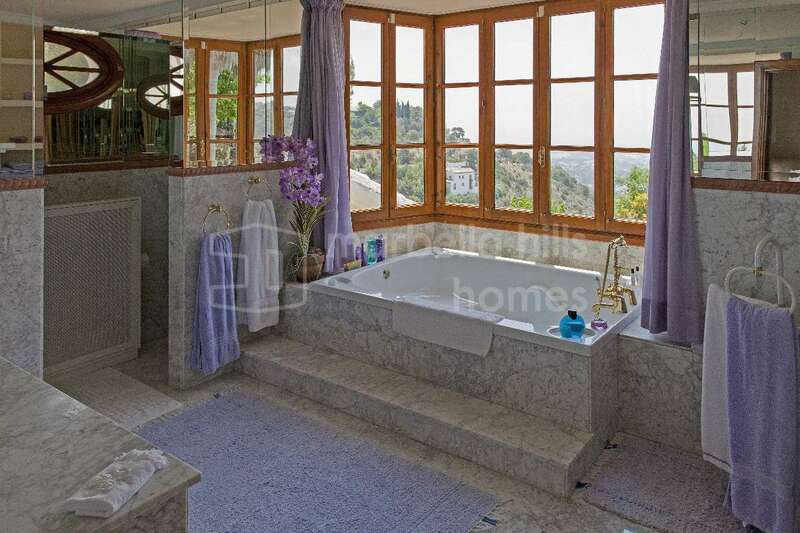 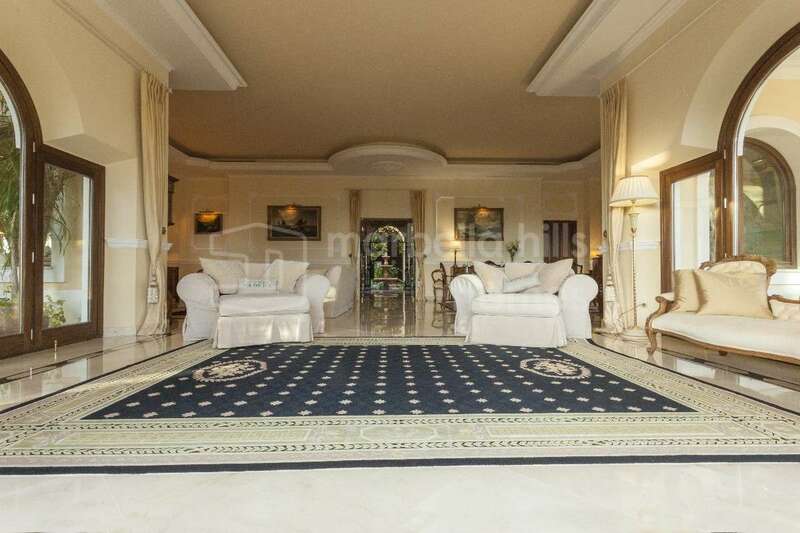 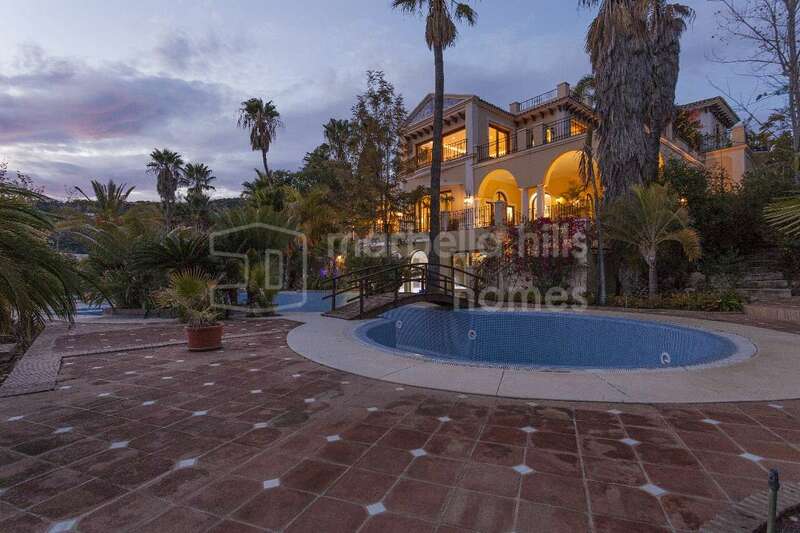 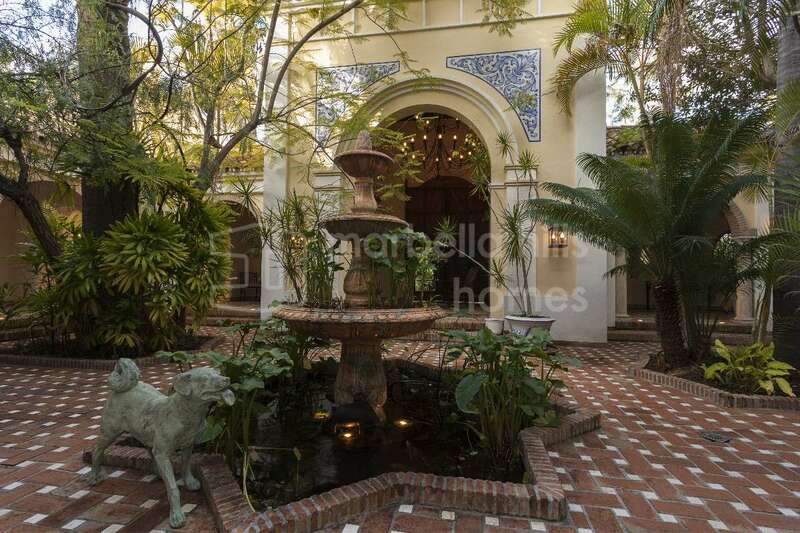 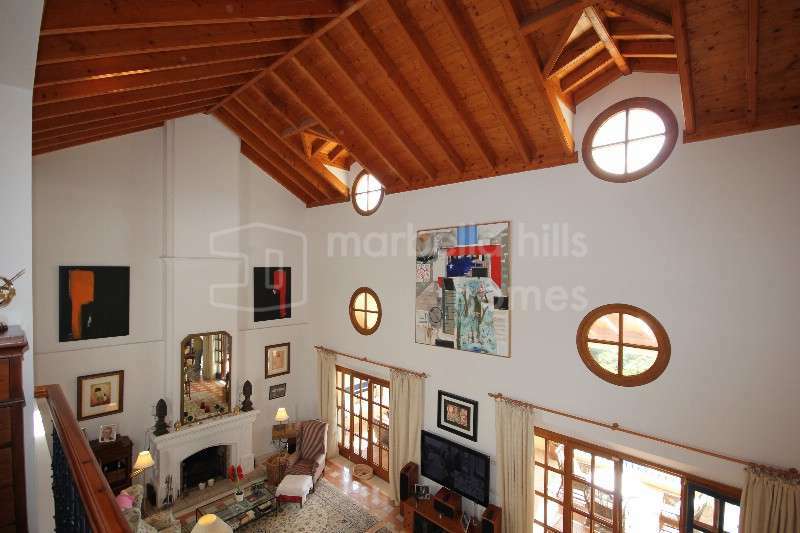 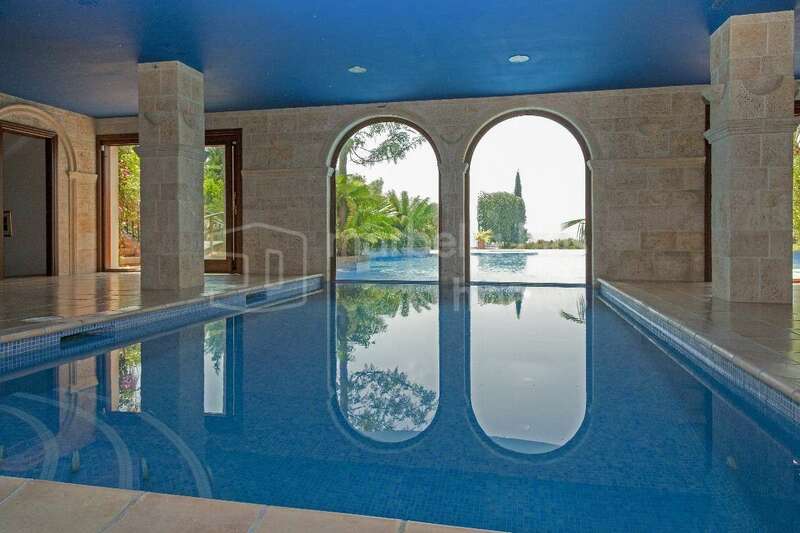 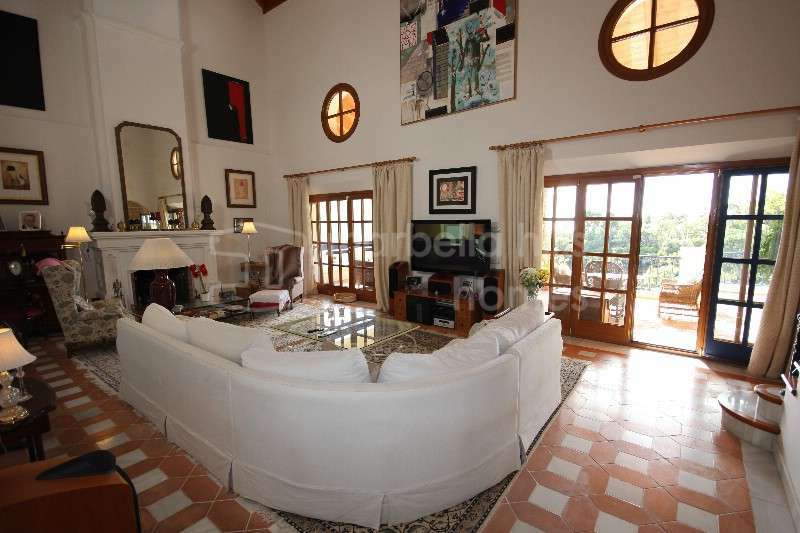 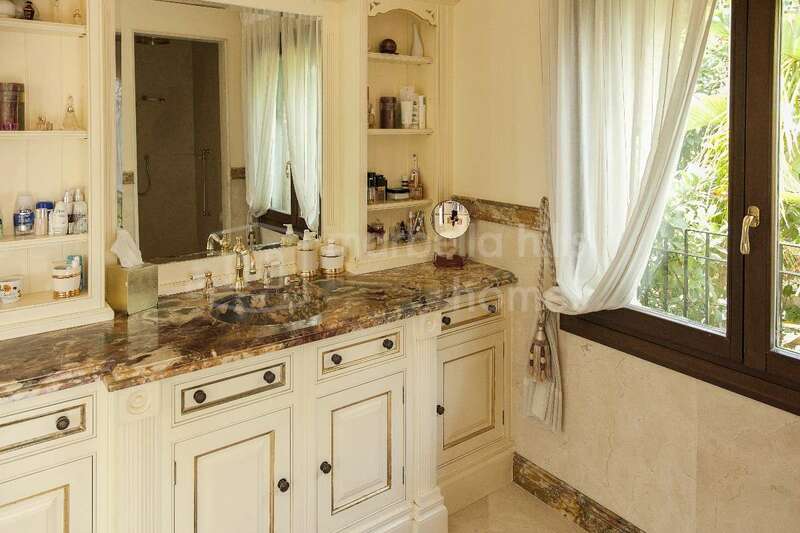 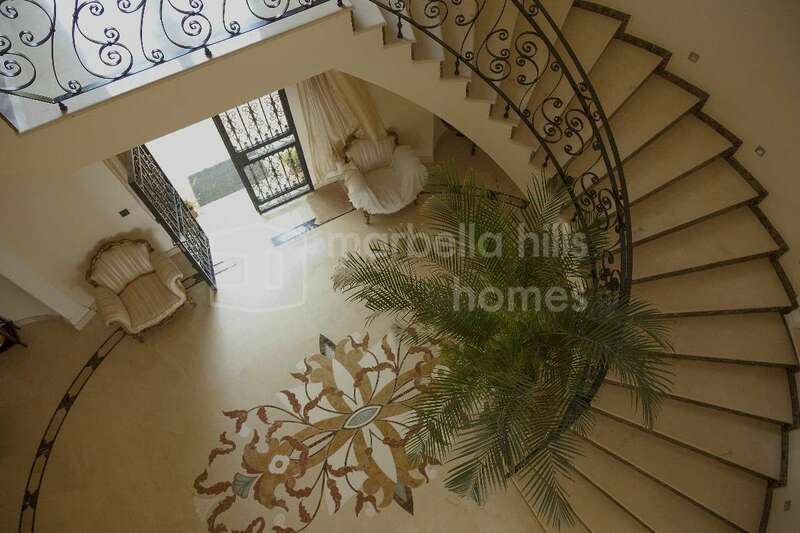 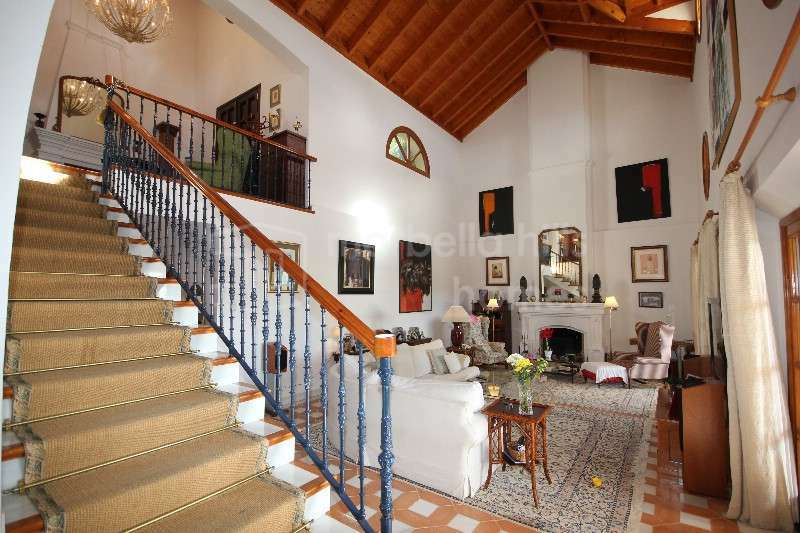 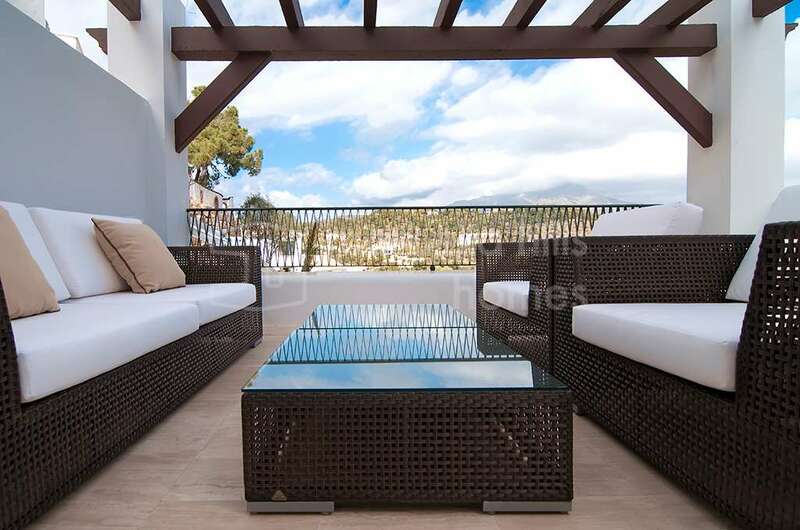 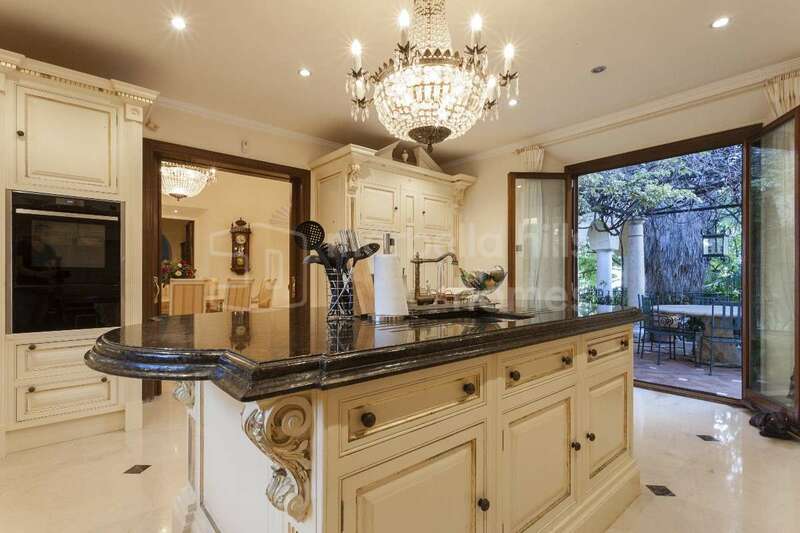 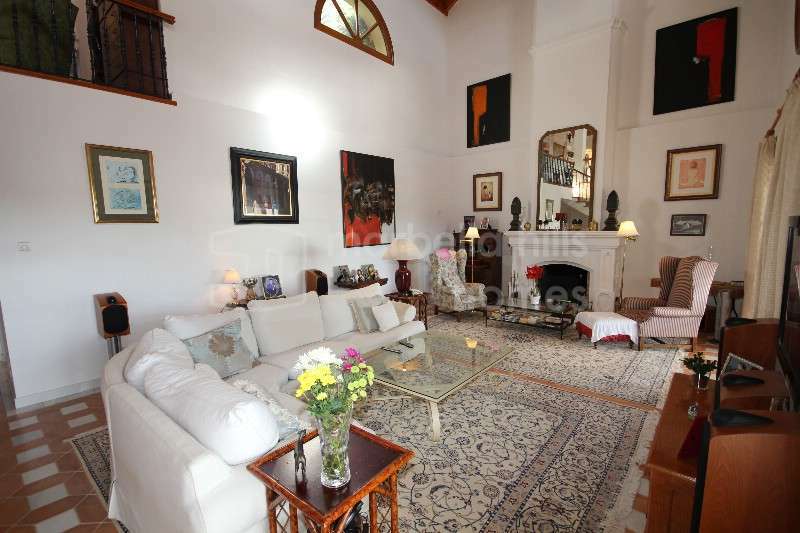 Take, for example, this spectacular five-bedroom villa for sale in El Madroñal. 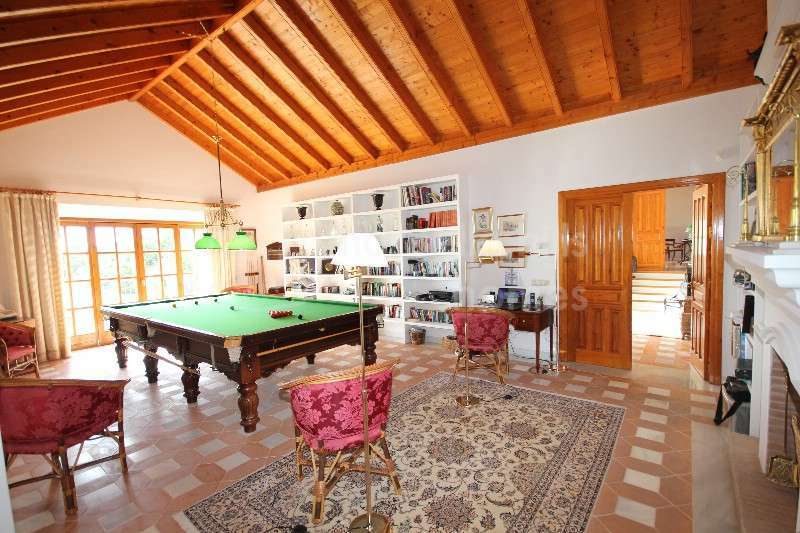 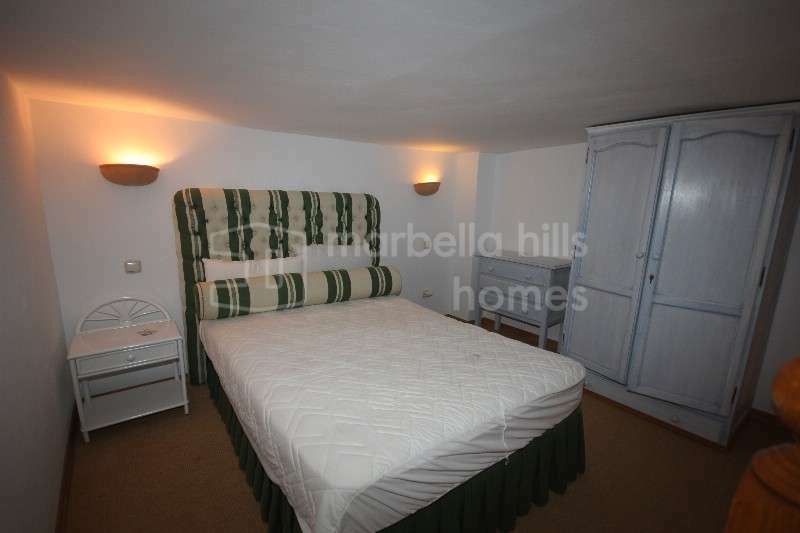 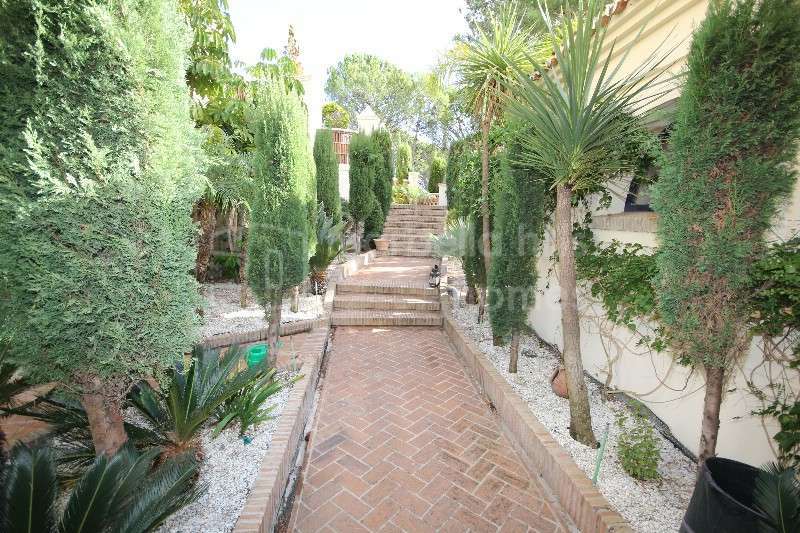 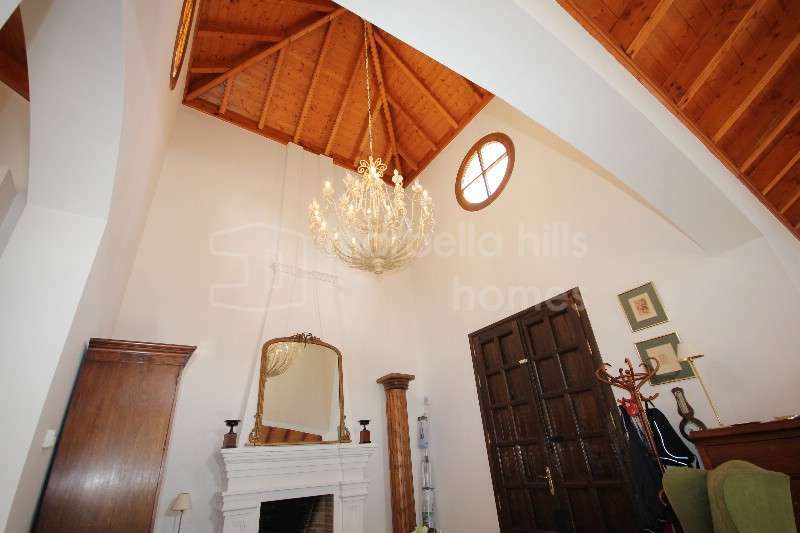 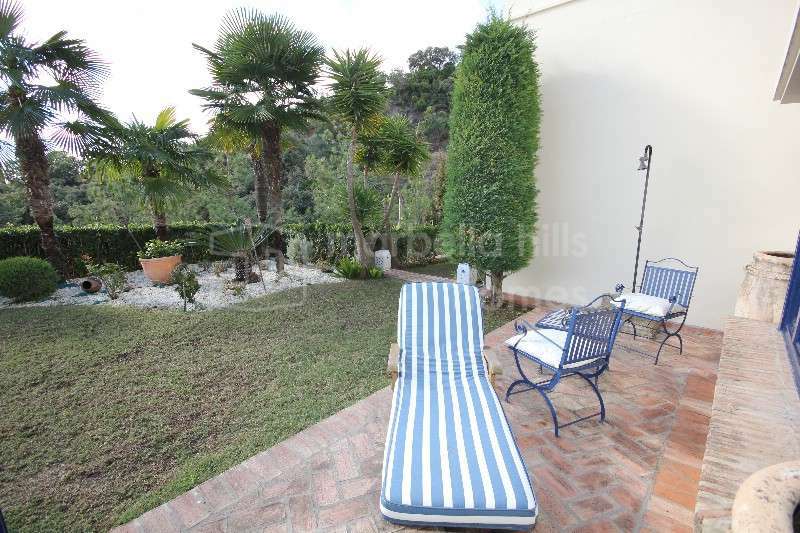 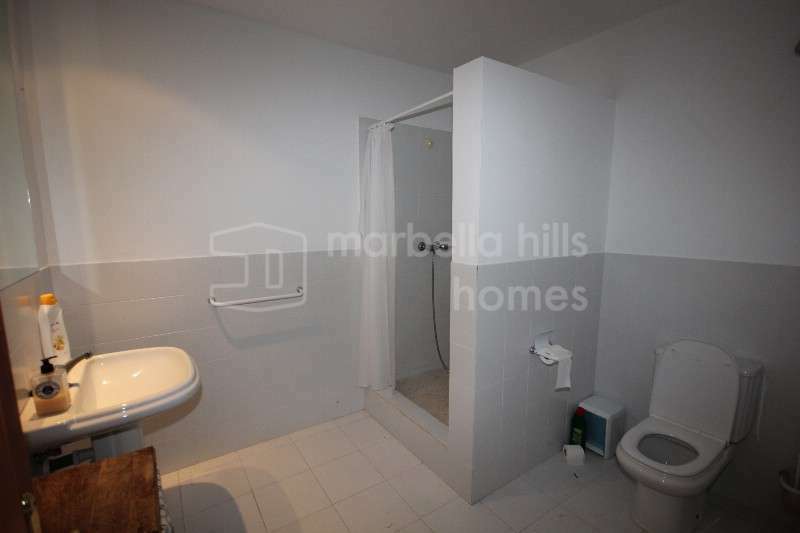 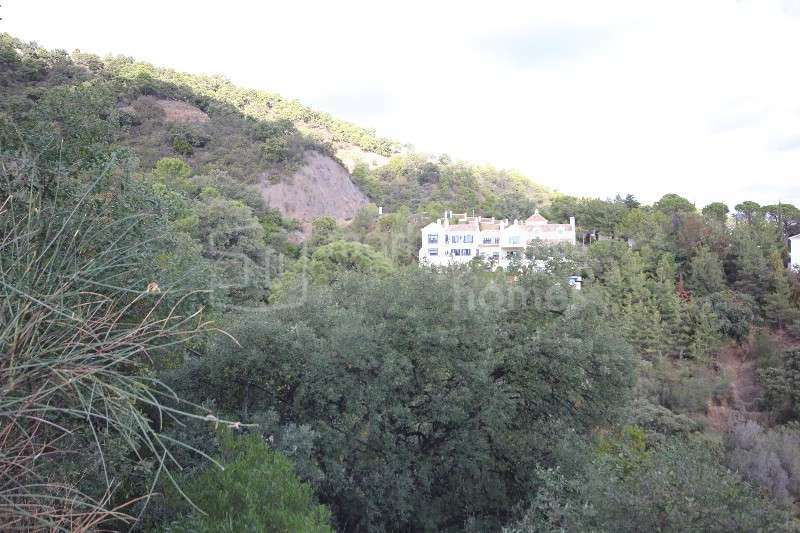 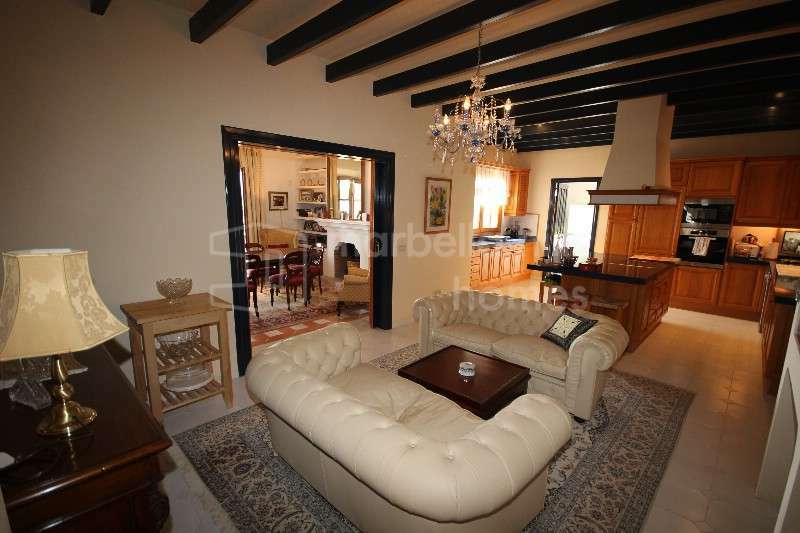 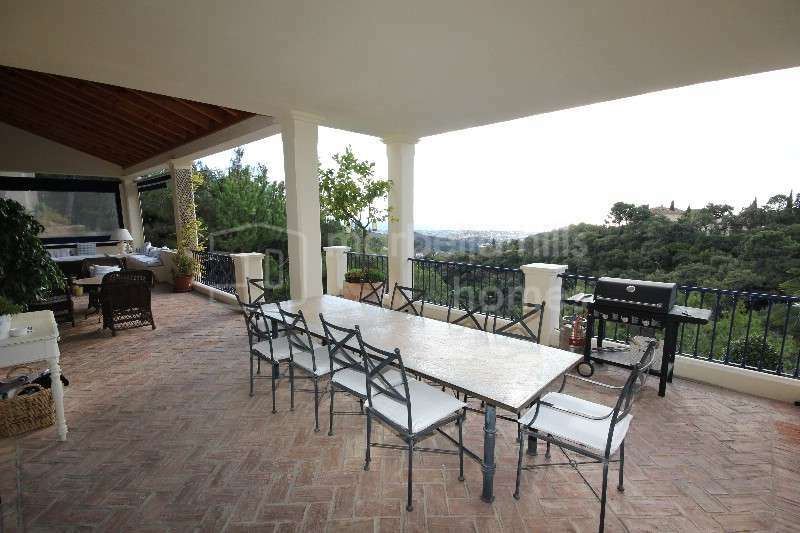 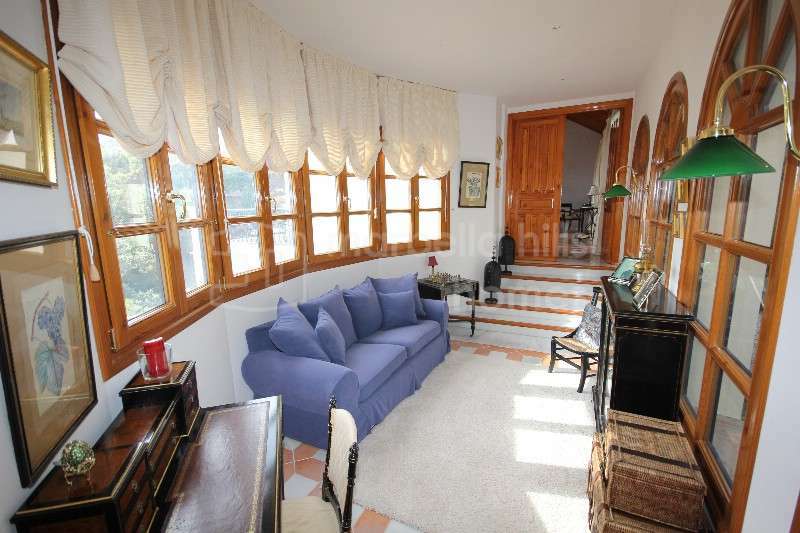 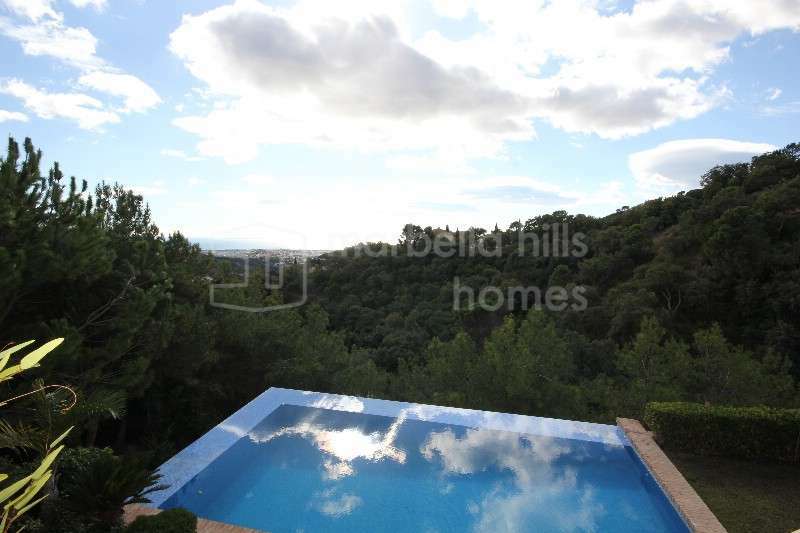 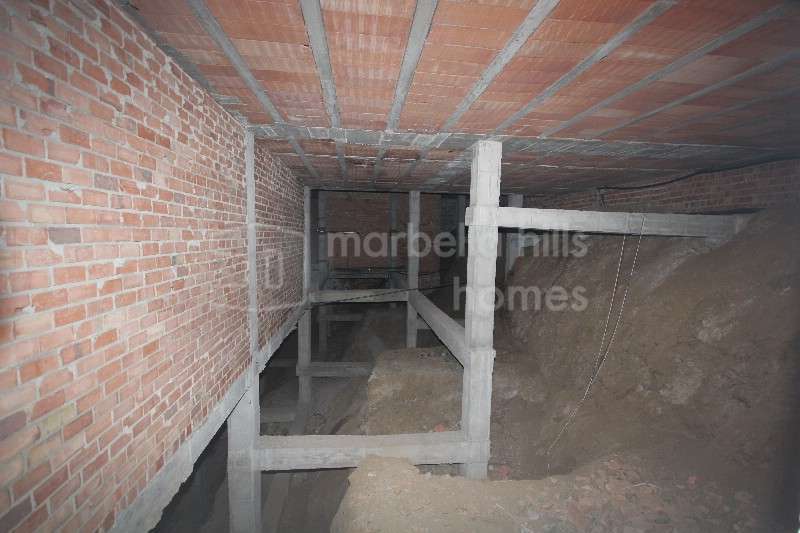 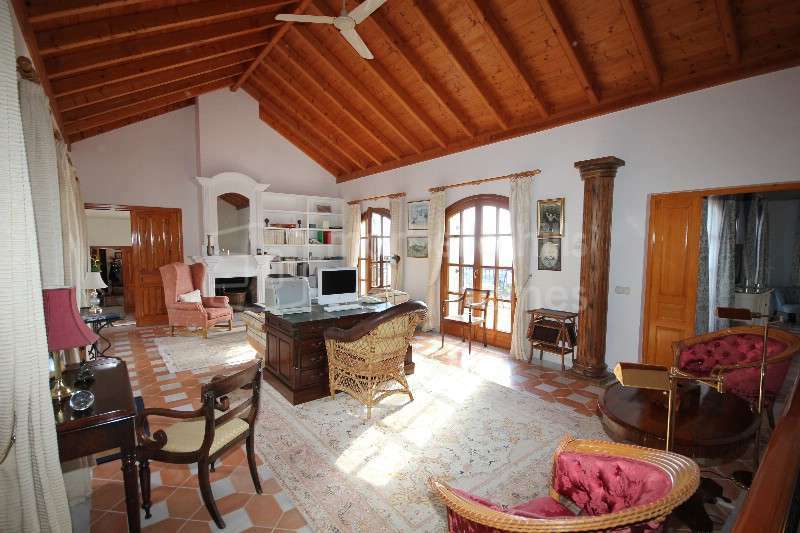 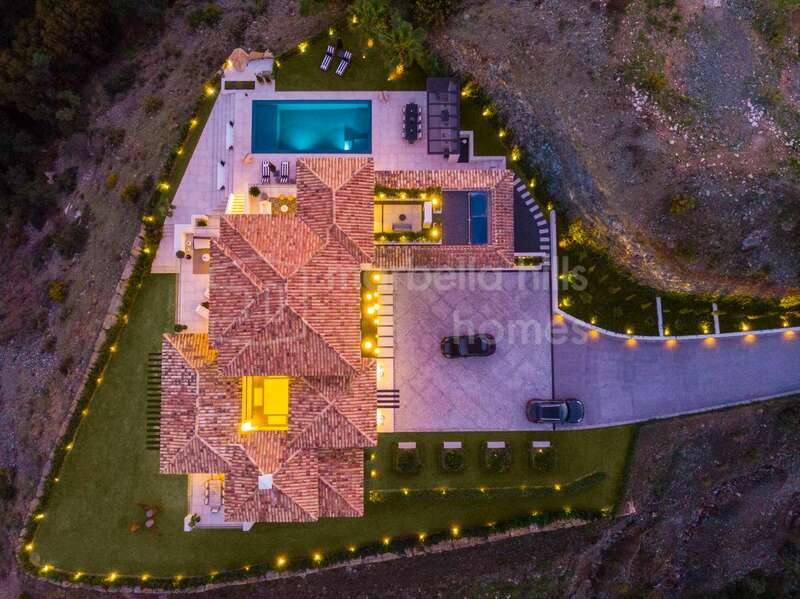 It occupies a 3,800m2 plot and the property has a built area of 650m2. 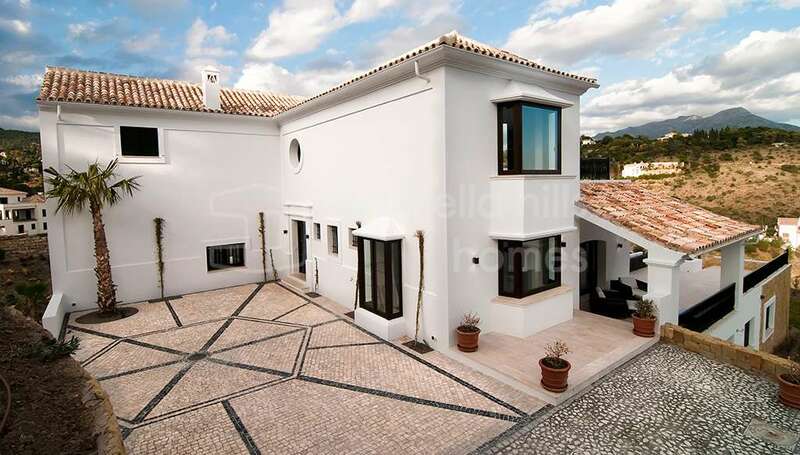 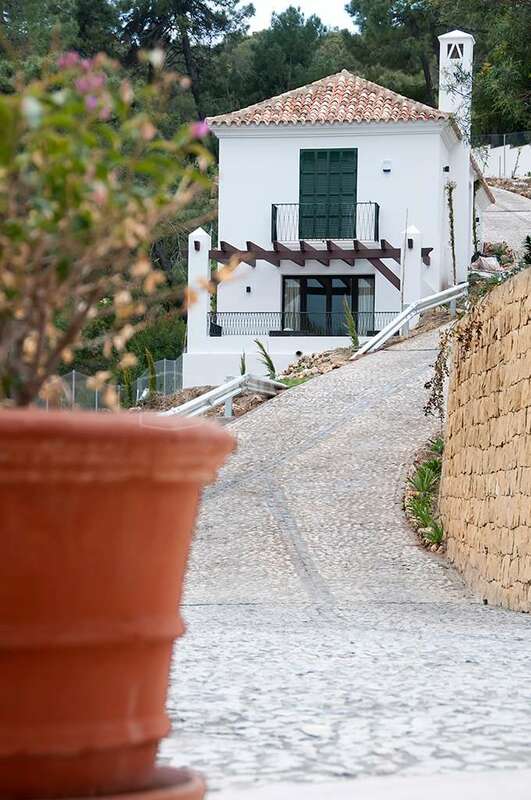 The architectural style might be termed ‘Modern Mediterranean’, as it manages to combine the clean lines and open-plan, light filled spaces associated with today’s highly desirable contemporary residences with traditional Mediterranean roofing, which gives it the authentic look of a modern Spanish cortijo. 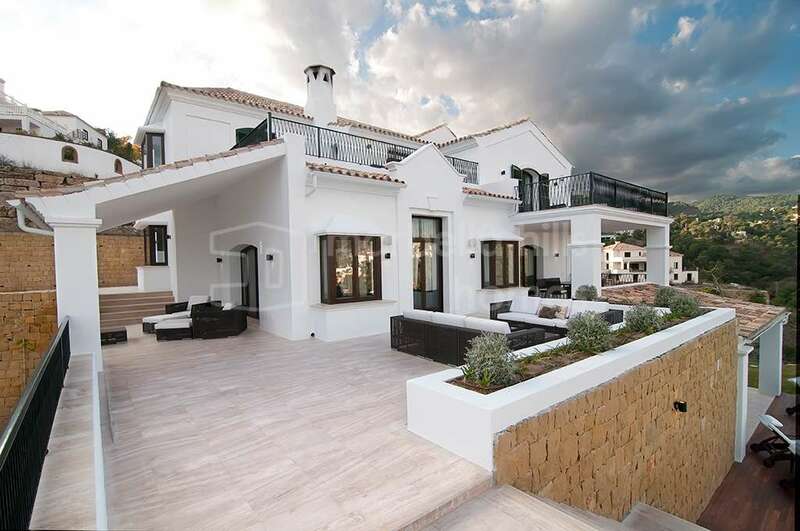 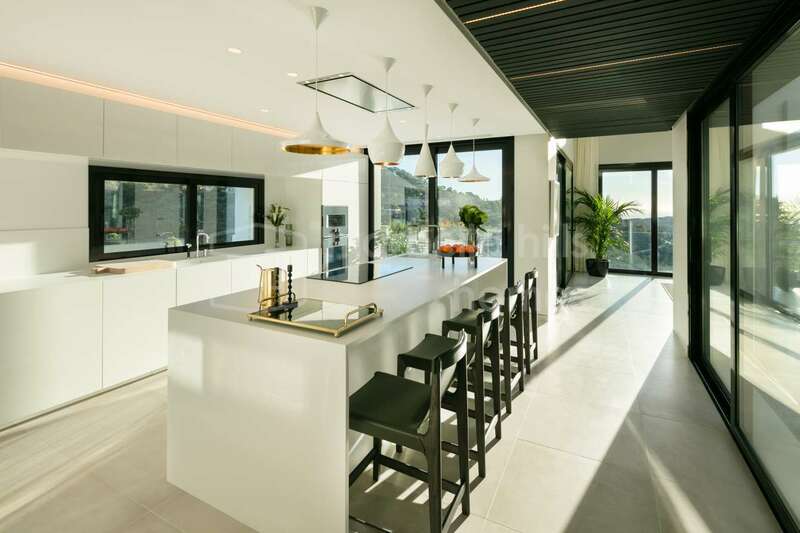 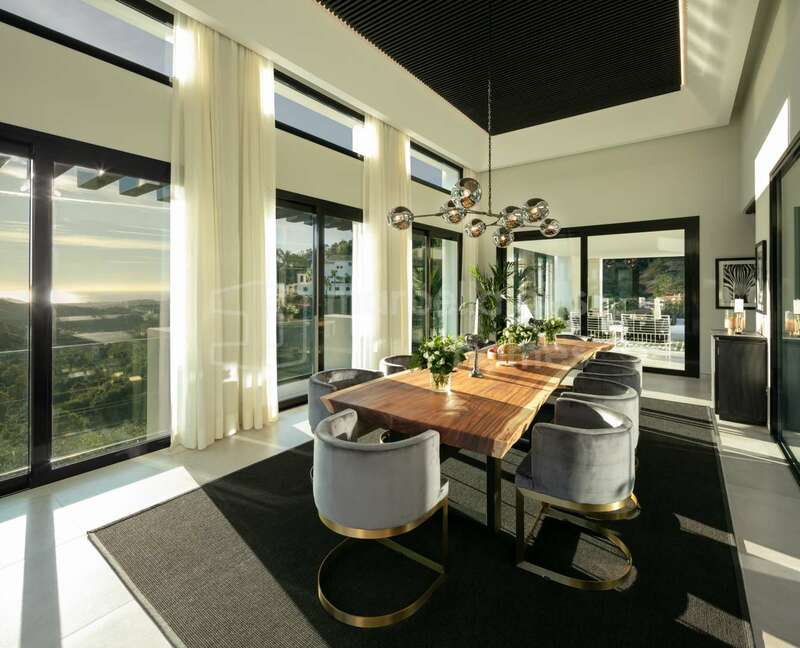 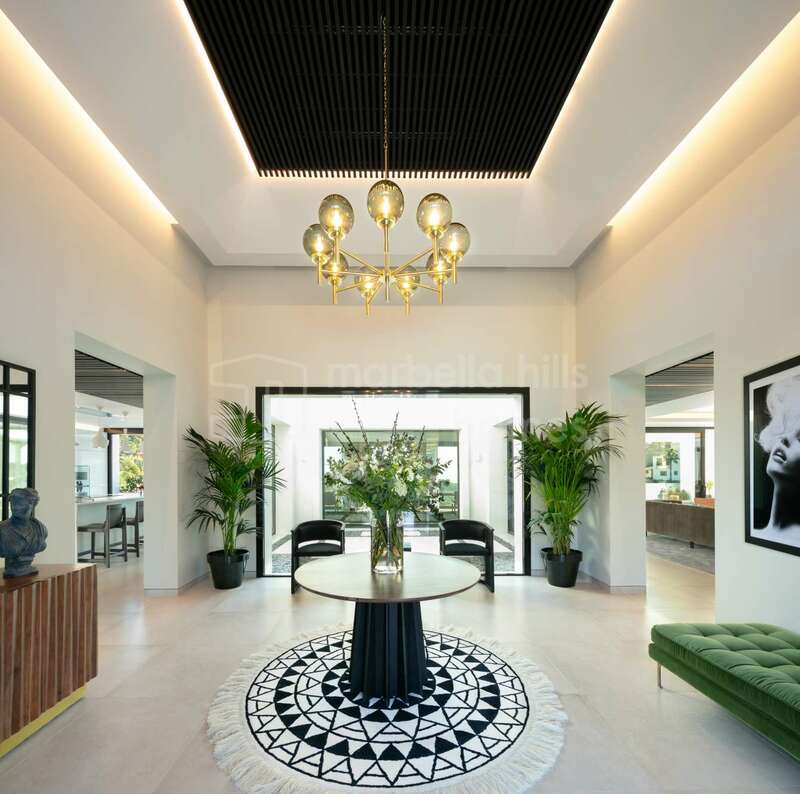 The villa has an impressive entrance hall and two reception rooms on the ground floor, as well as a magnificent dining room and ultra-high tech kitchen fitted with high-end appliances. 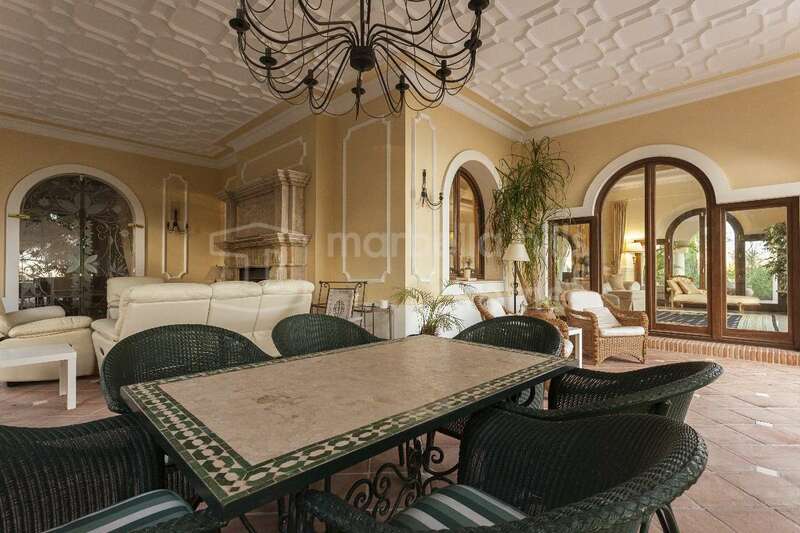 A spacious solarium and terrace is accessed from this level, as are the gardens and the impressive swimming pool. 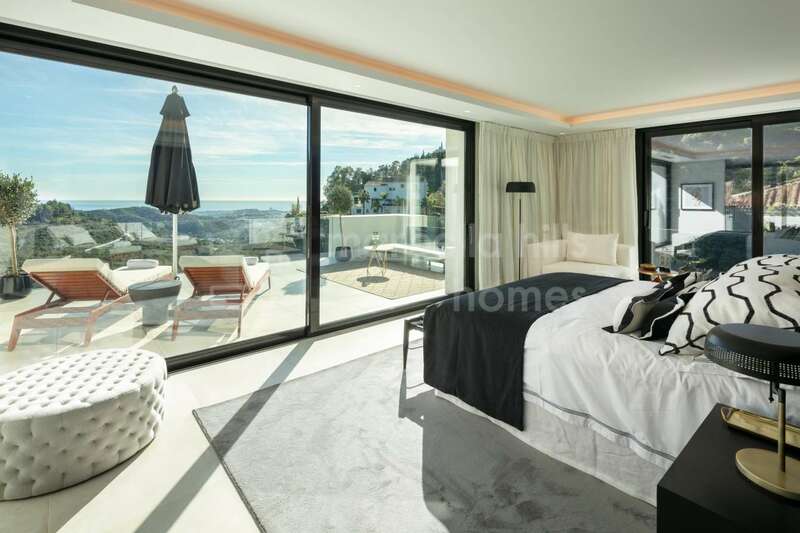 The upper floor contains a spectacular master suite with large walk-in closet, a luxurious bathroom and a private terrace that affords inspiring views of the Mediterranean. 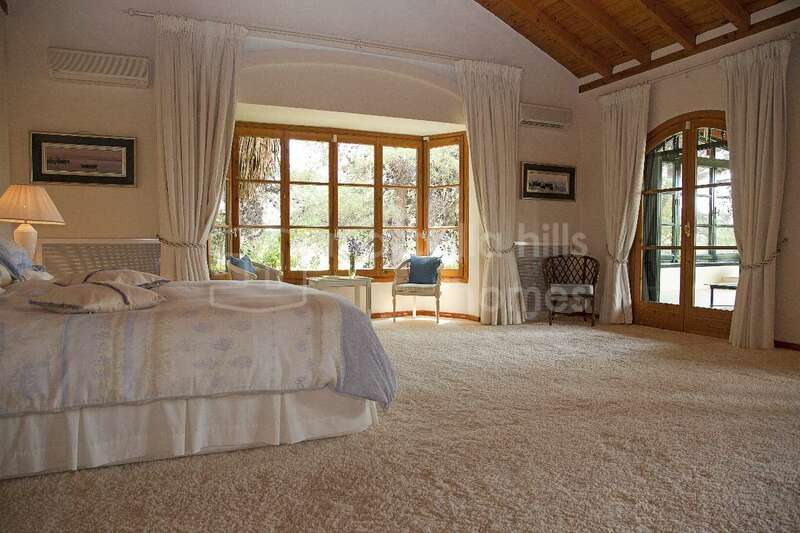 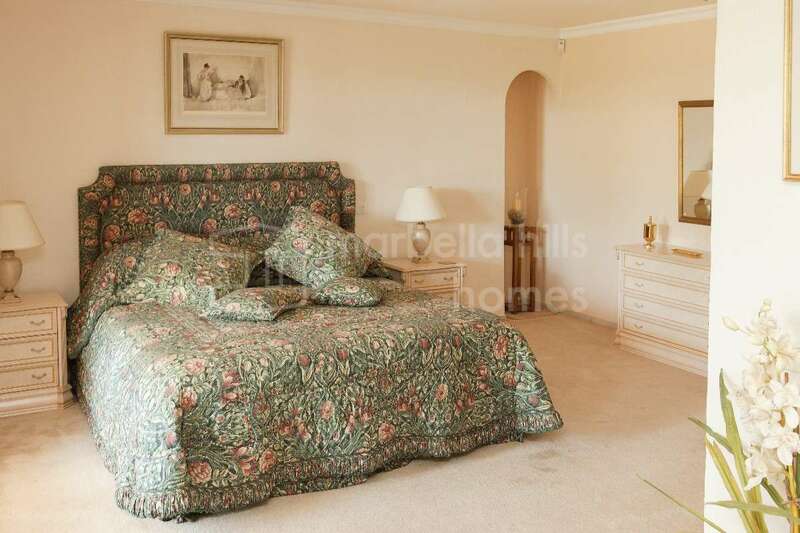 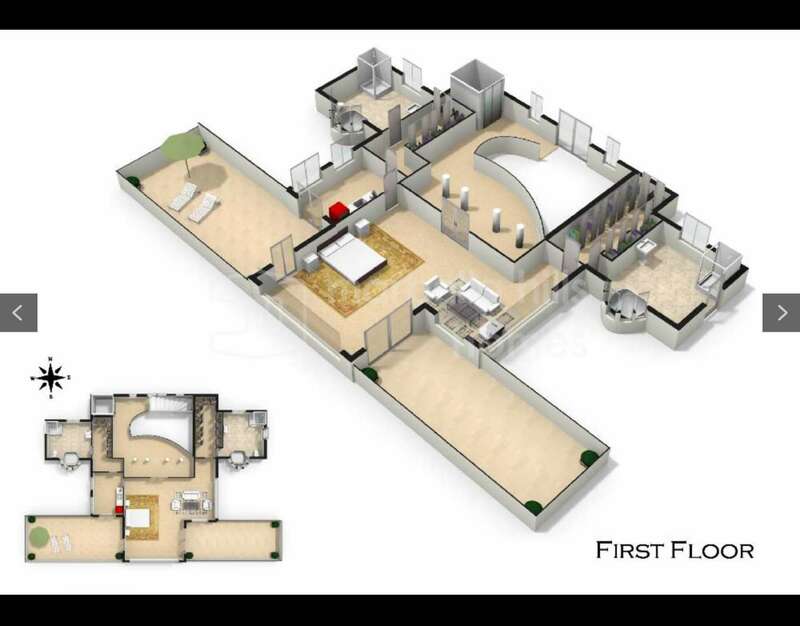 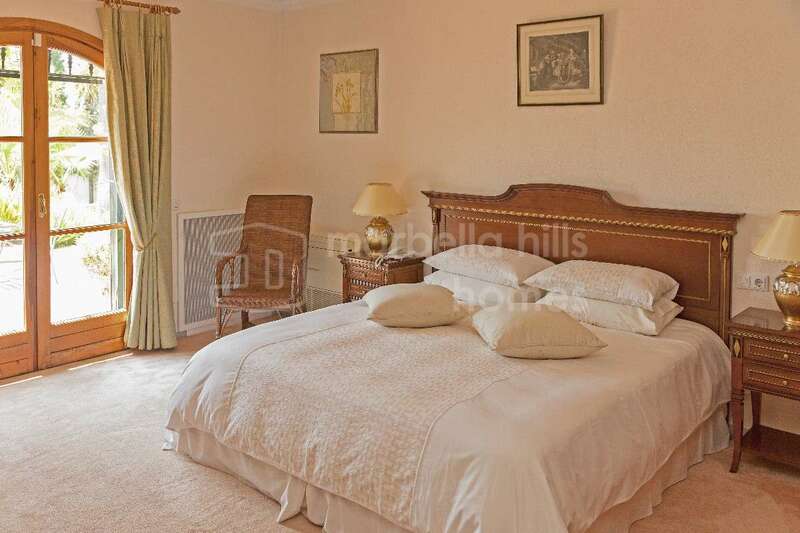 On the lower ground floor, the villa features three guest rooms with en suite bathrooms, a gym, a spa and laundry room. 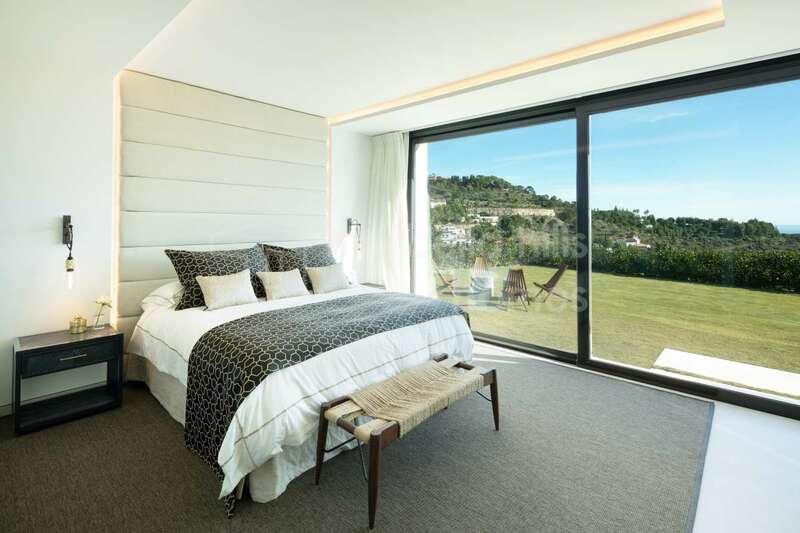 All rooms have floor-to-ceiling windows with spectacular sea views and direct access to the garden. 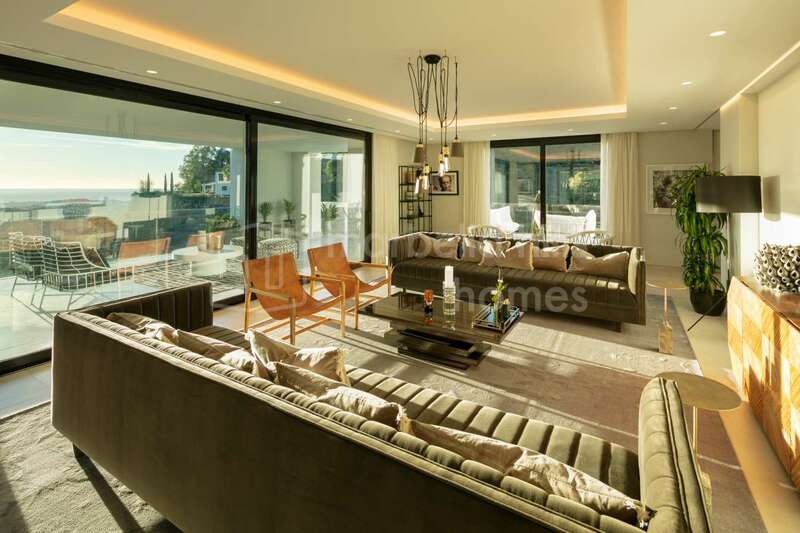 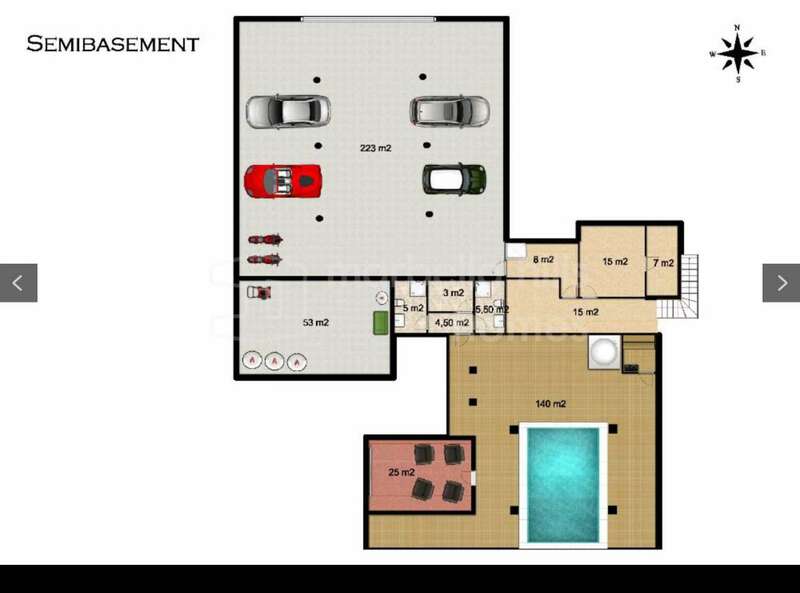 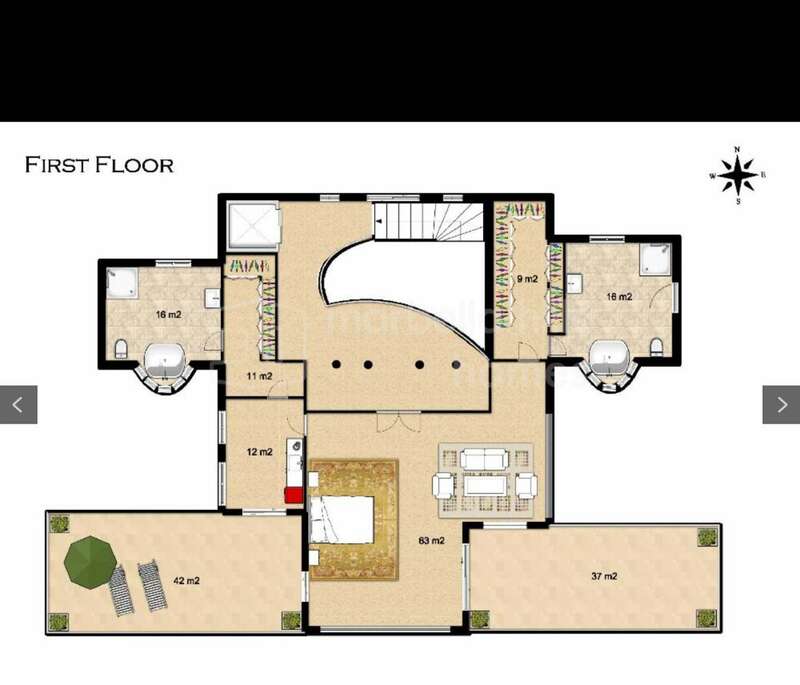 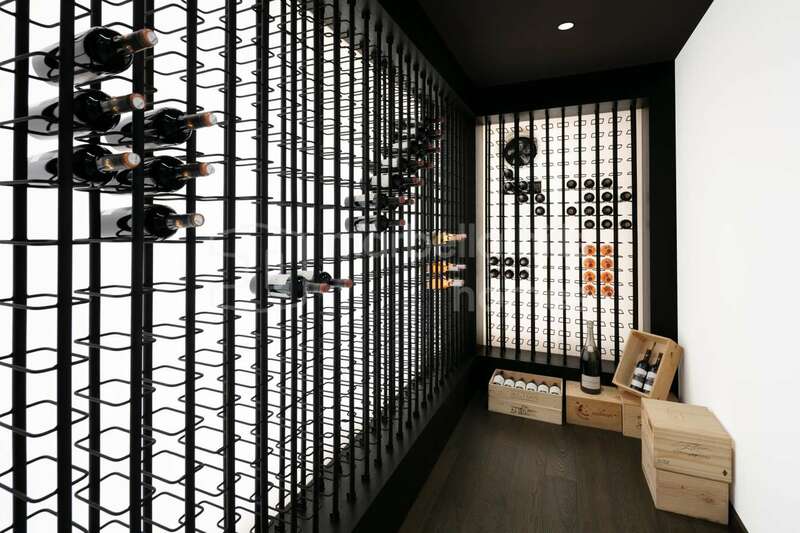 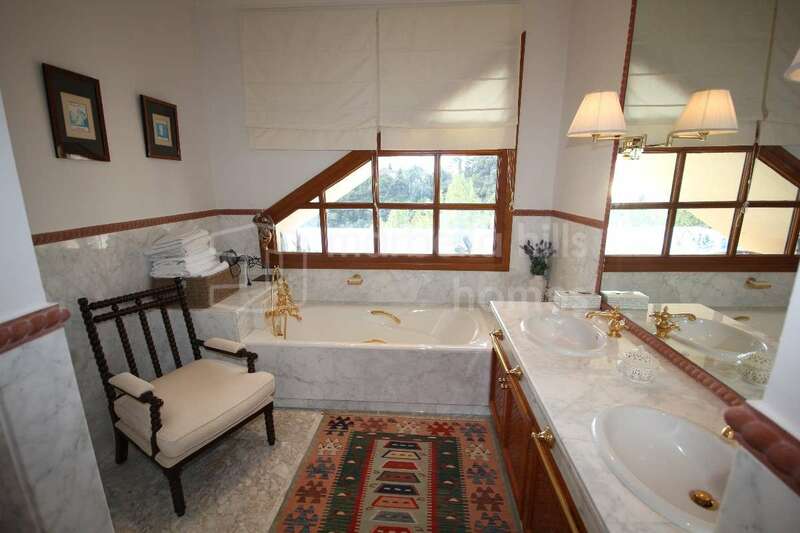 The property also offers a Dolby Stereo surround system, WiFi, underfloor heating and a wine cellar. 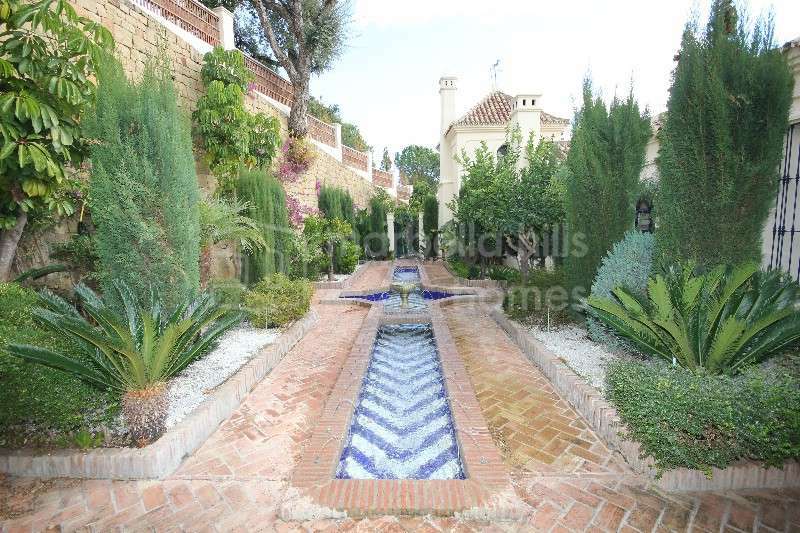 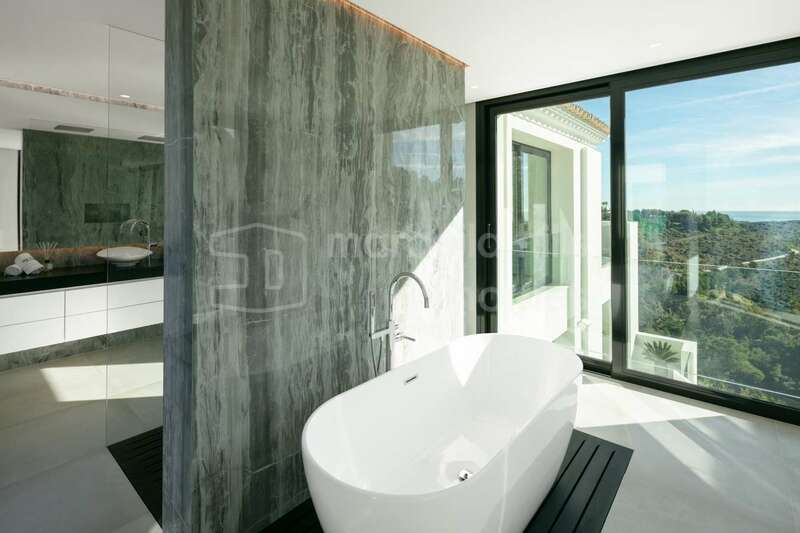 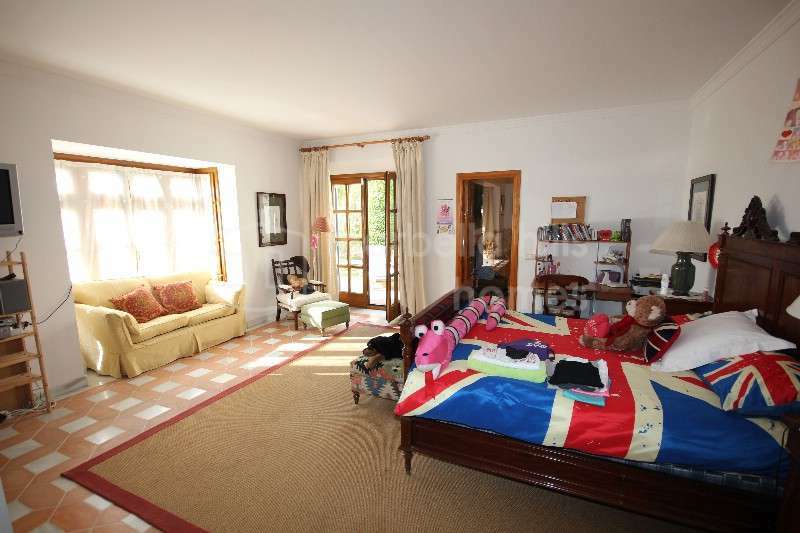 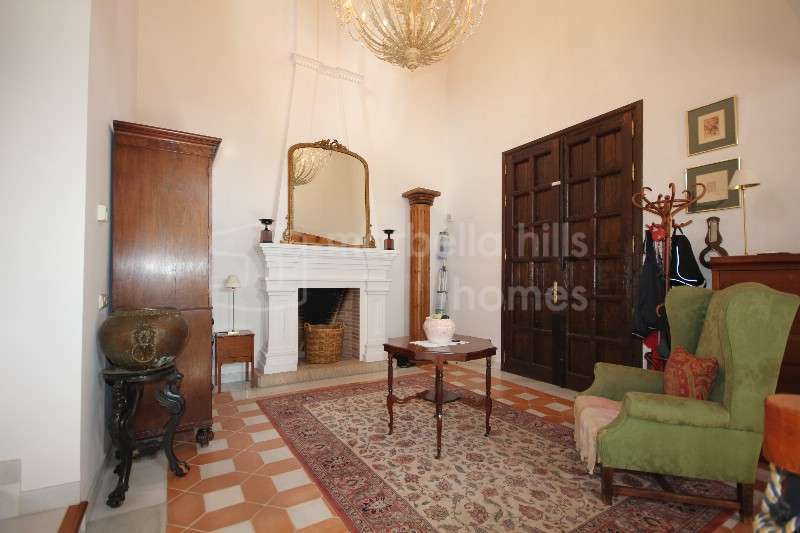 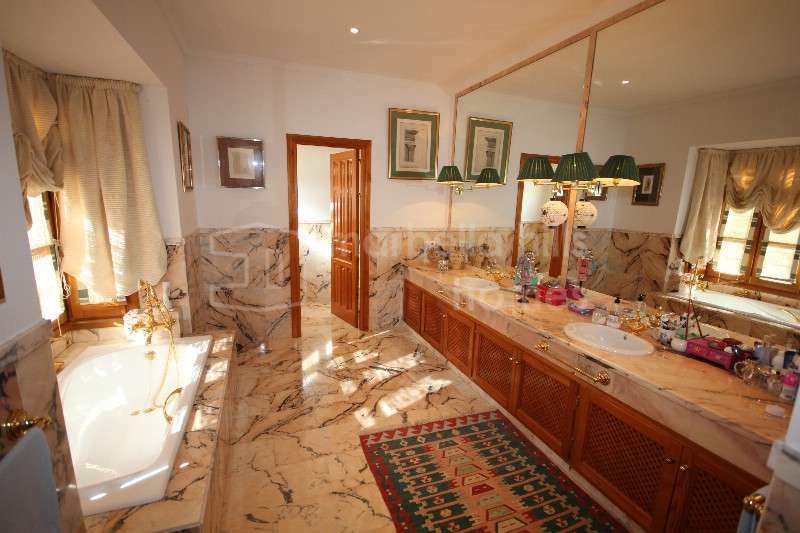 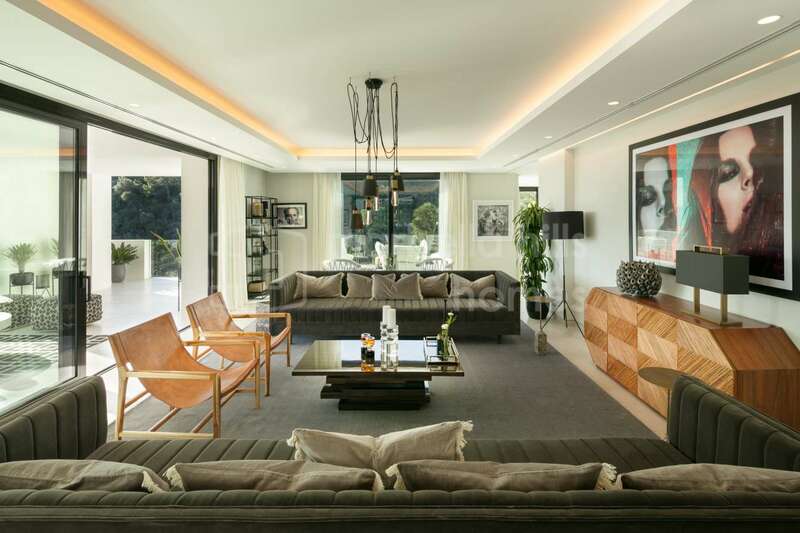 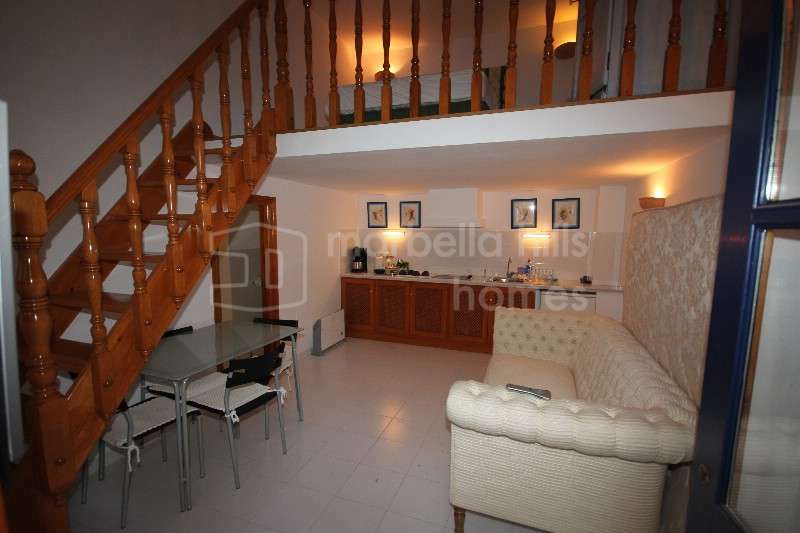 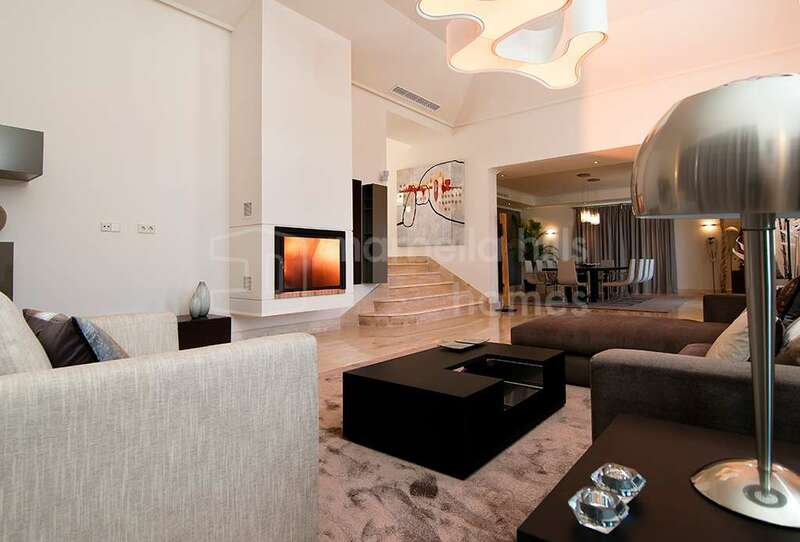 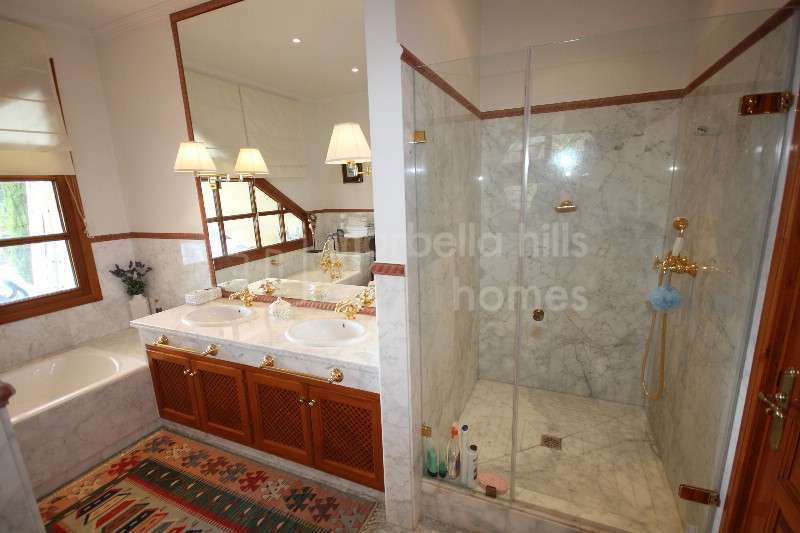 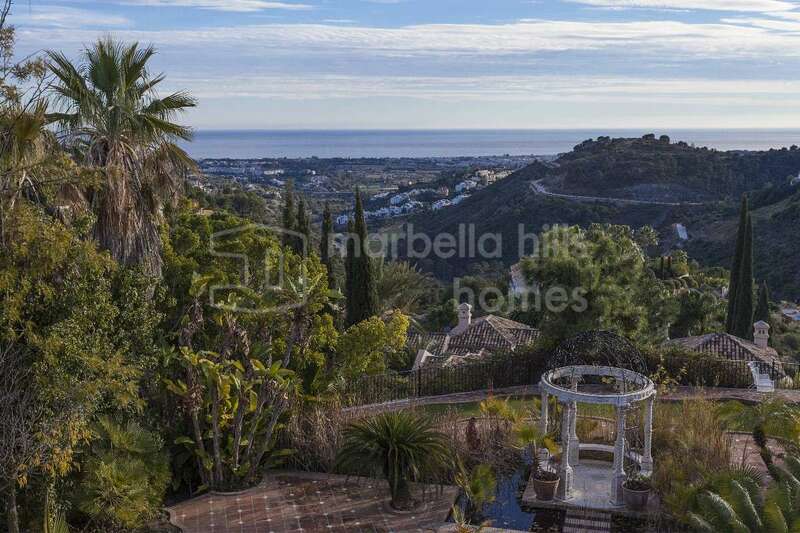 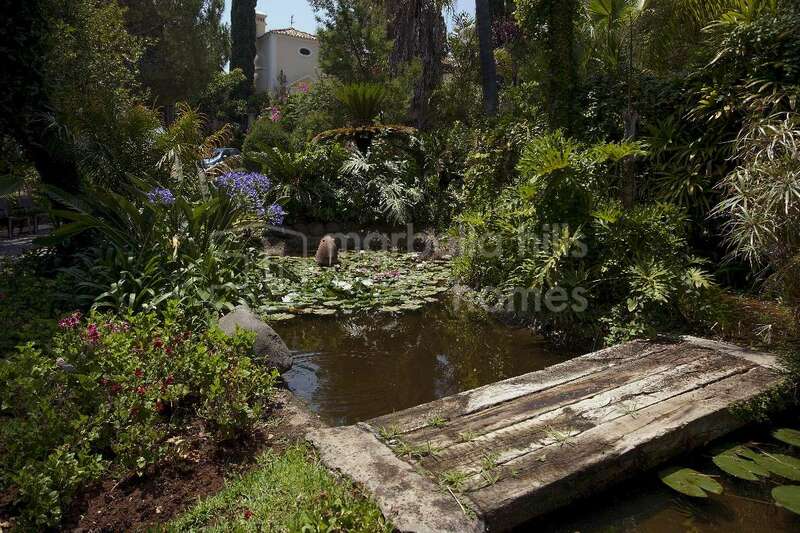 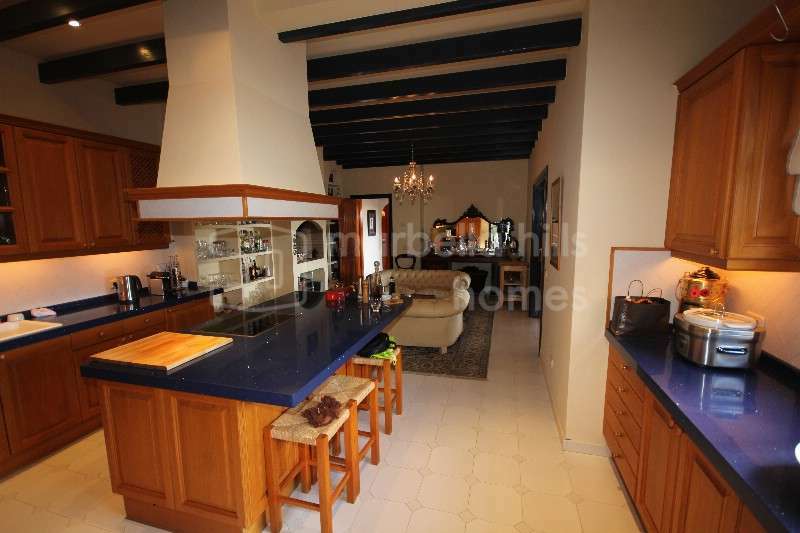 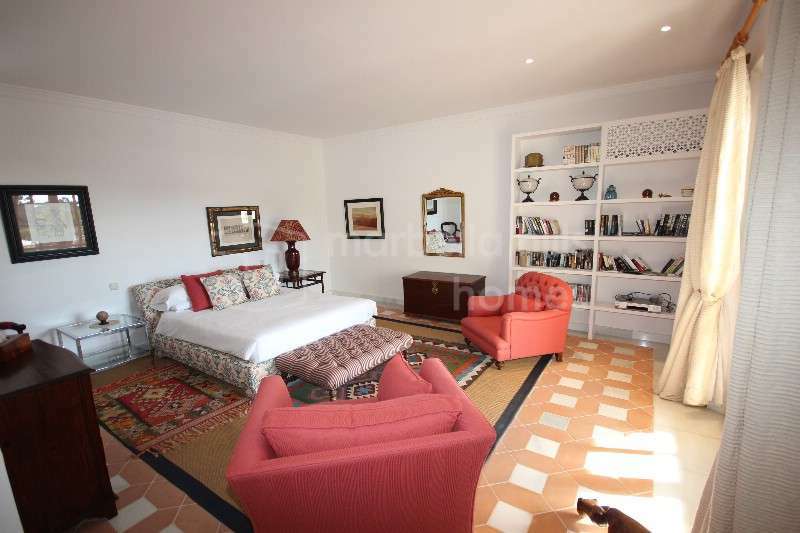 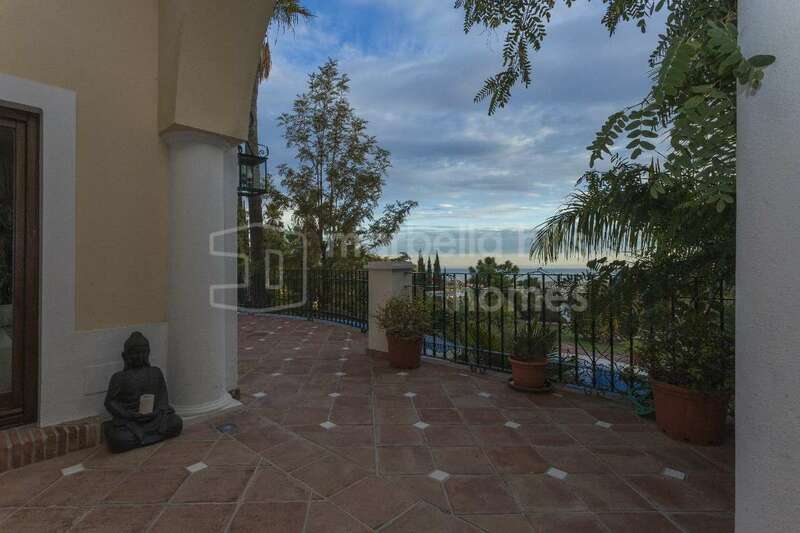 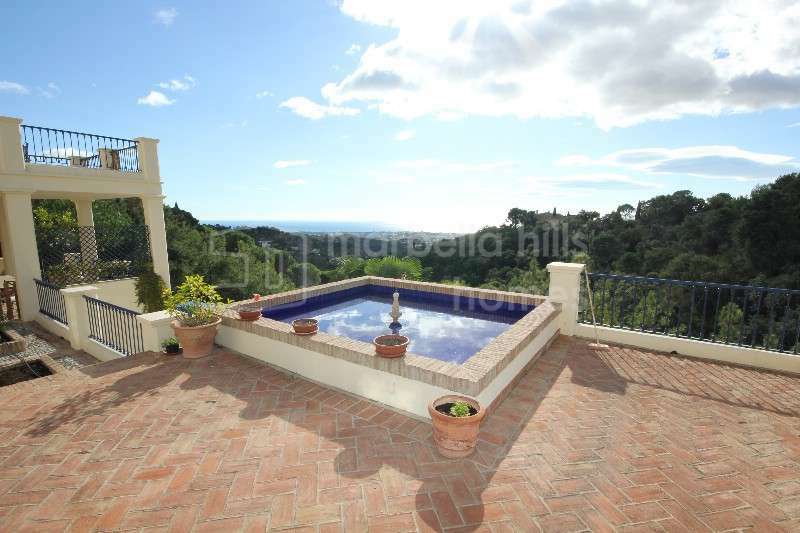 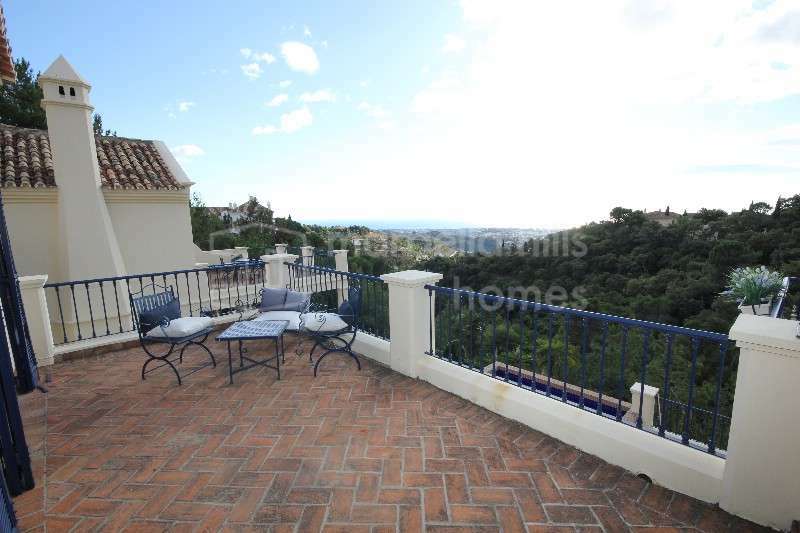 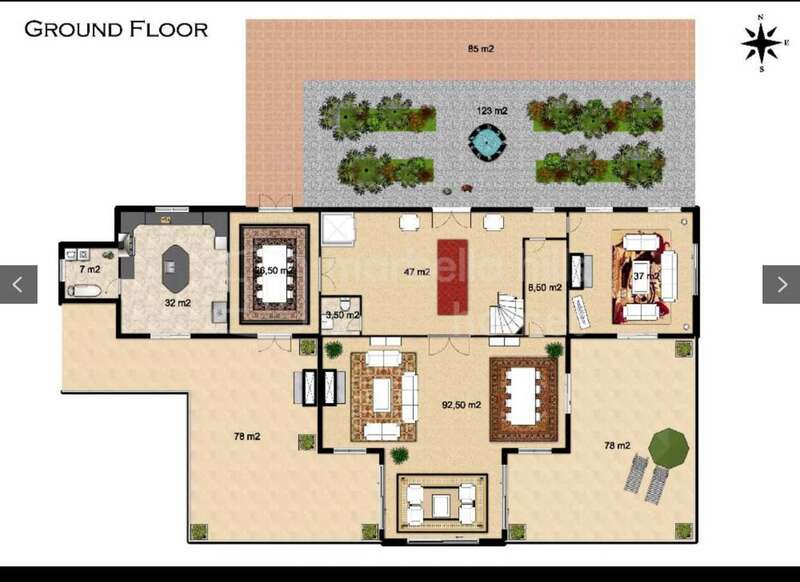 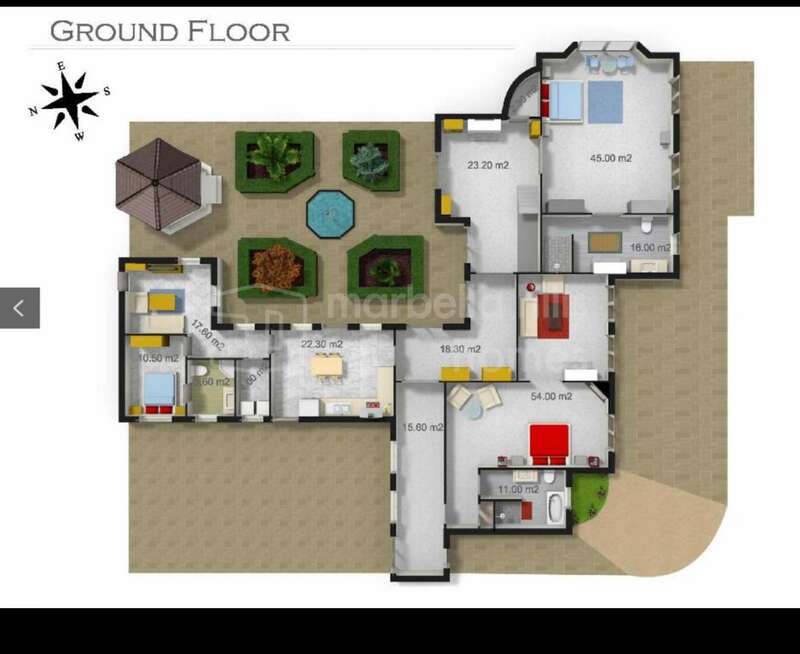 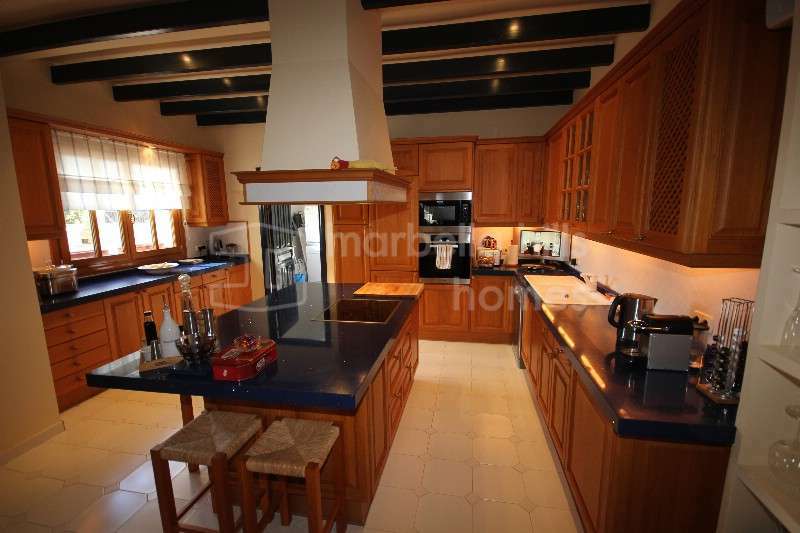 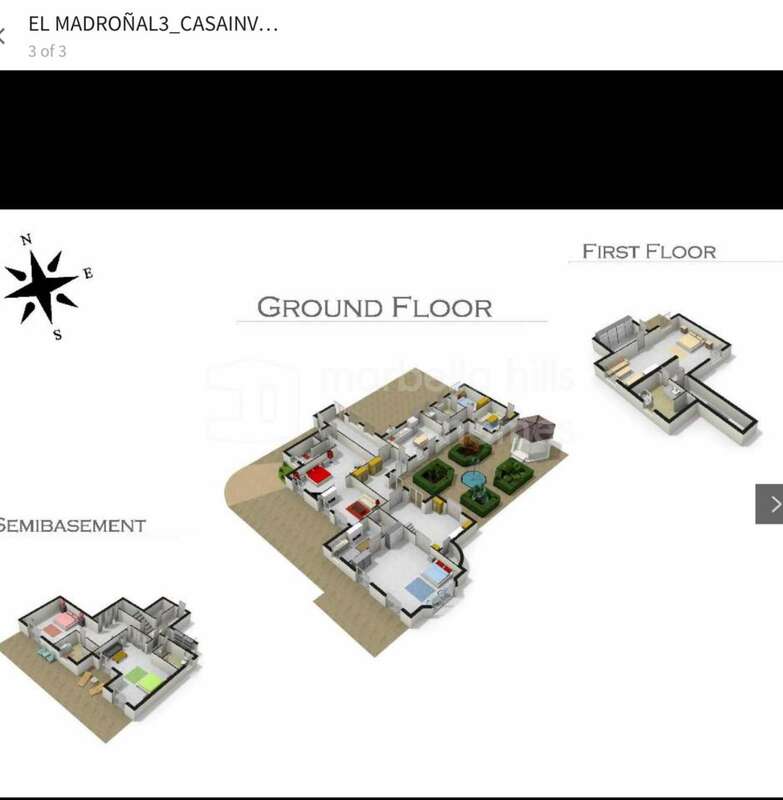 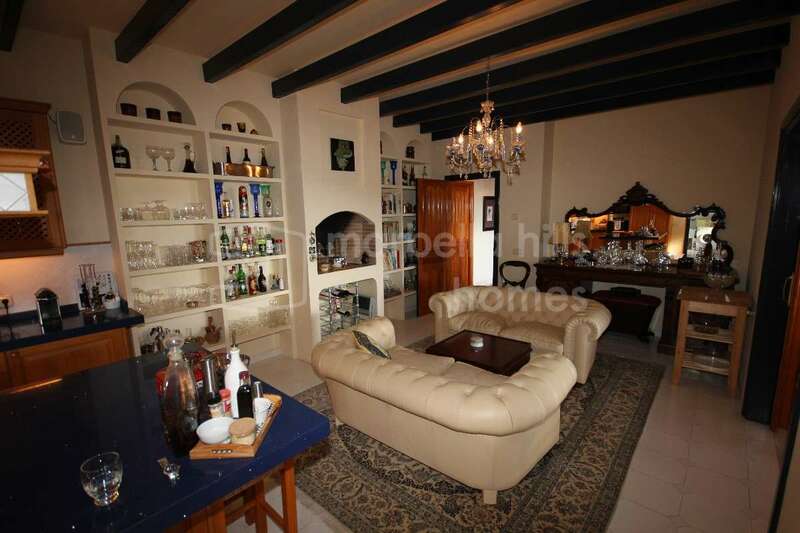 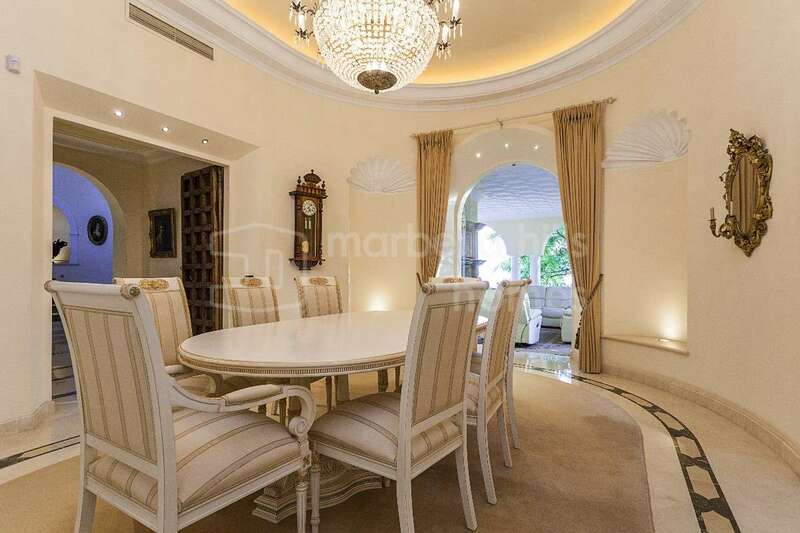 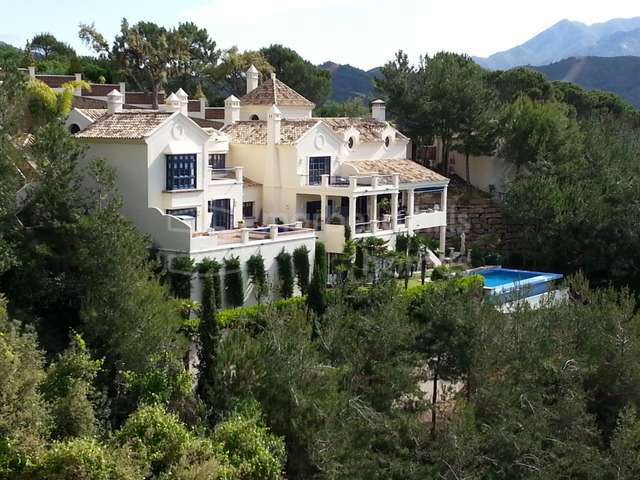 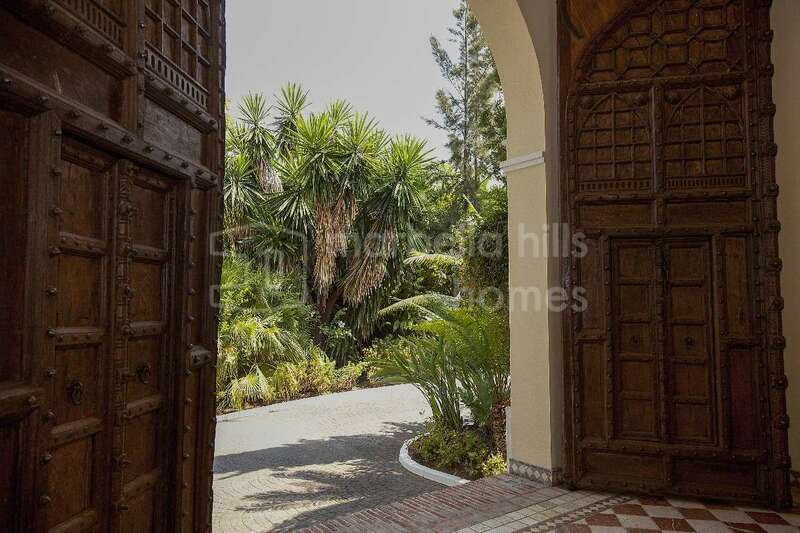 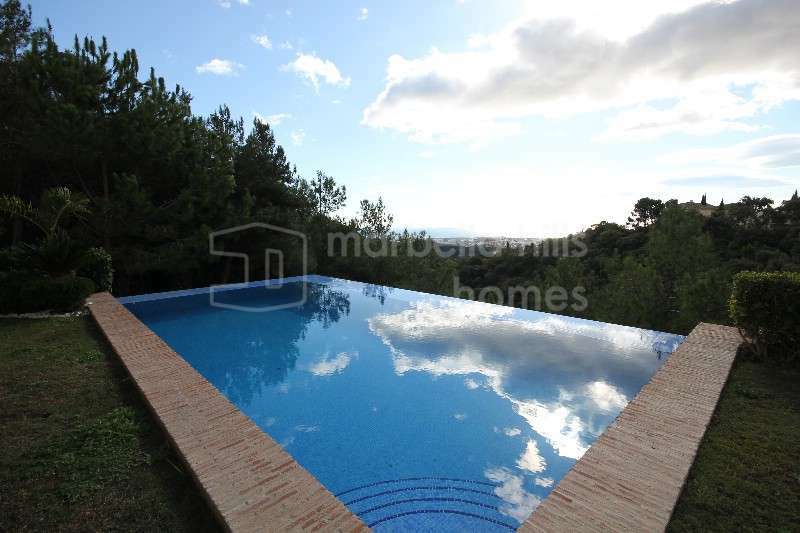 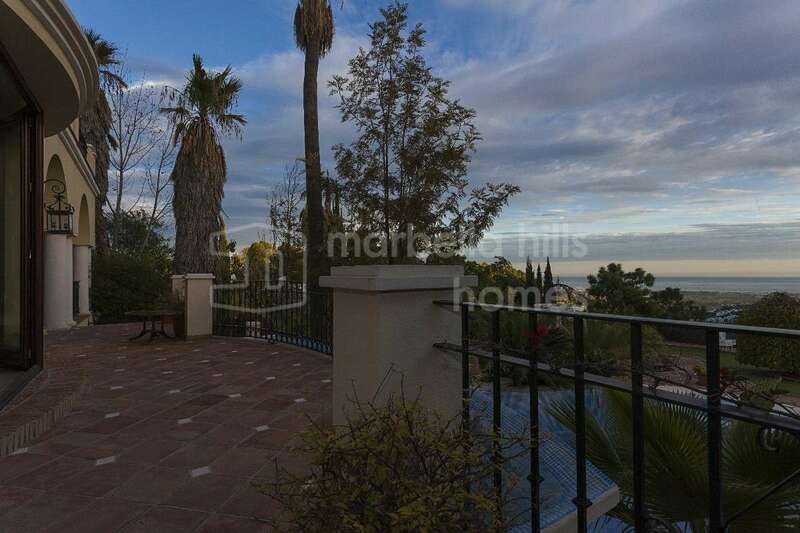 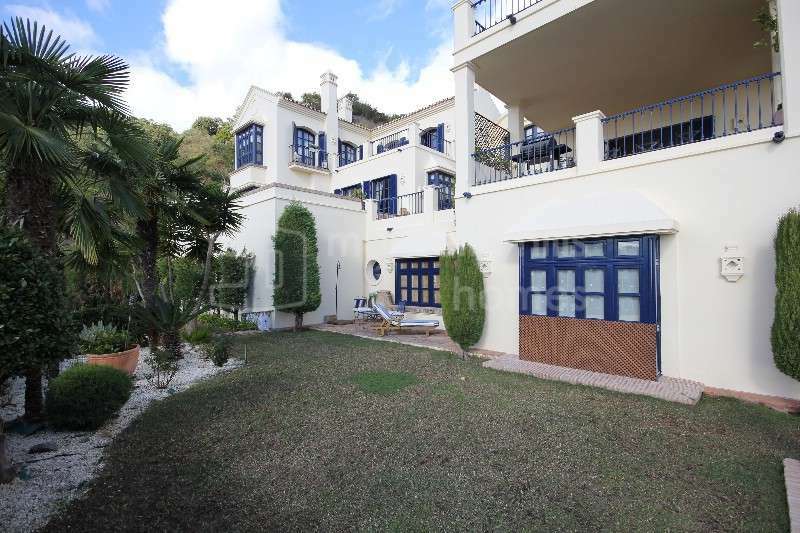 To view this magnificent property for sale in El Madroñal, please contact us to arrange it.